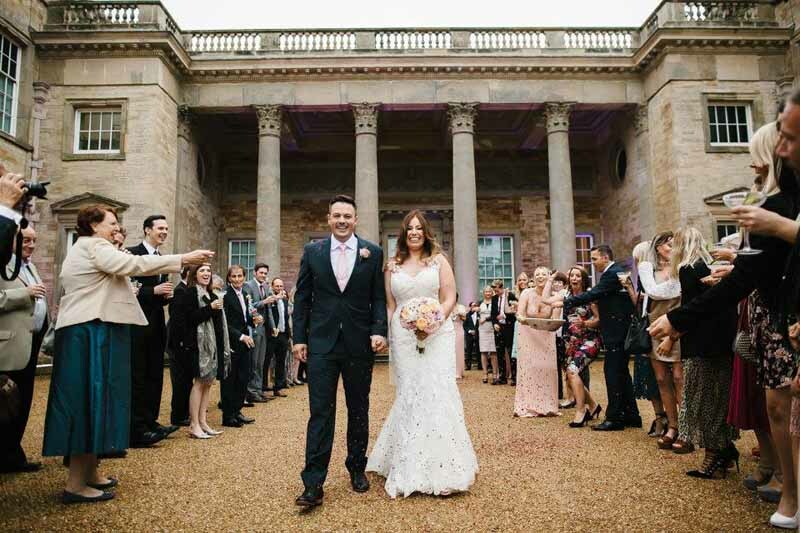 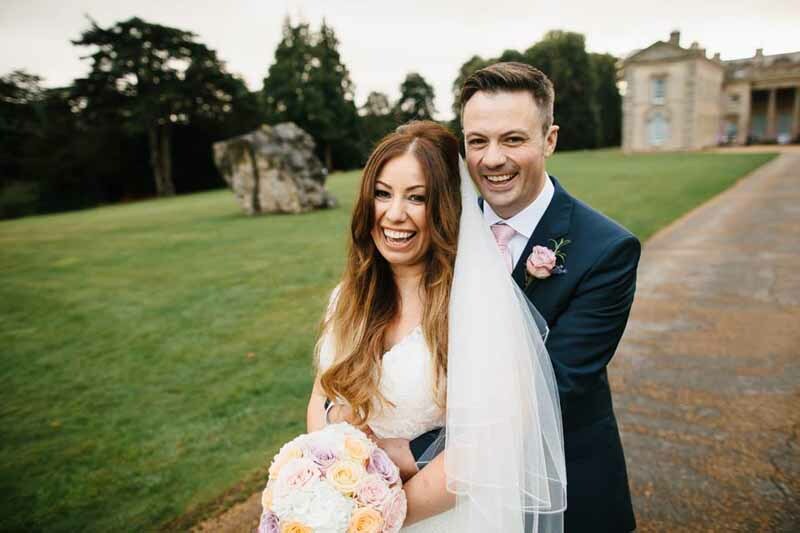 Rachel and Nick were married at Compton Verney in September. 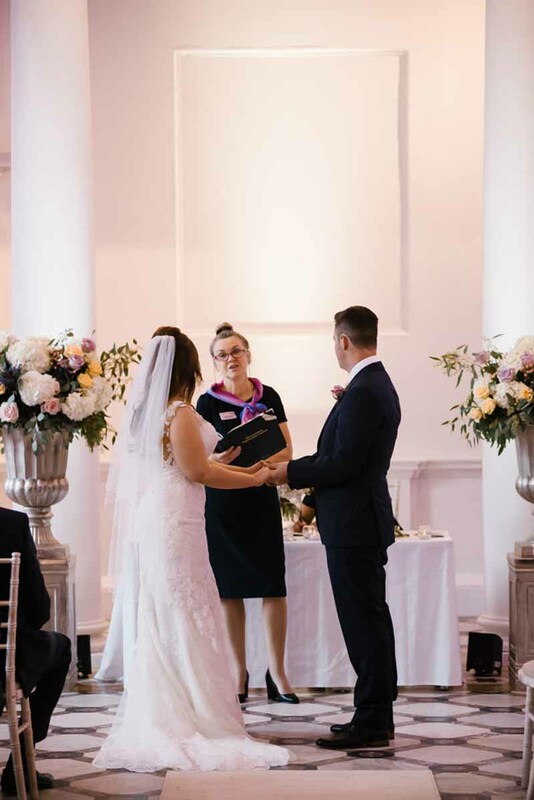 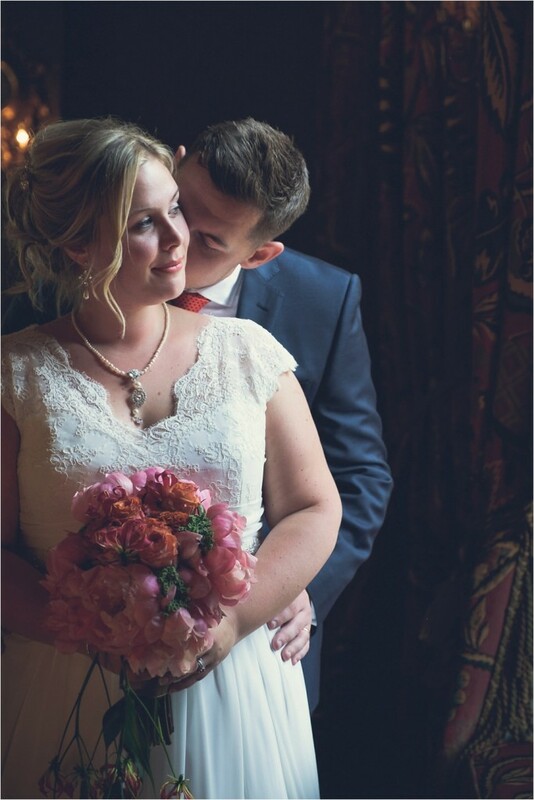 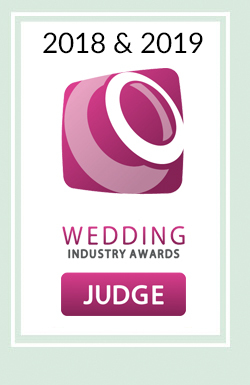 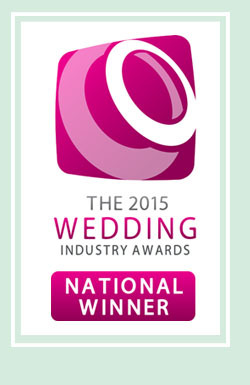 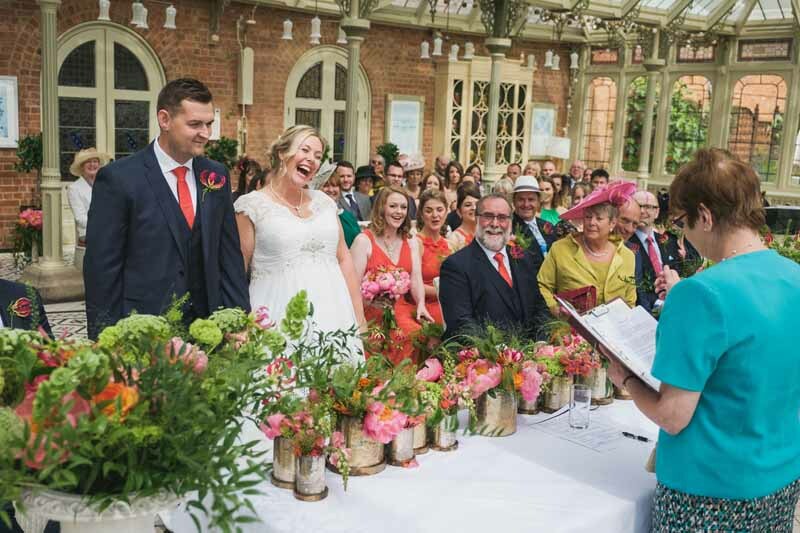 We met when Rachel was recommended to us by the award winning venue team. 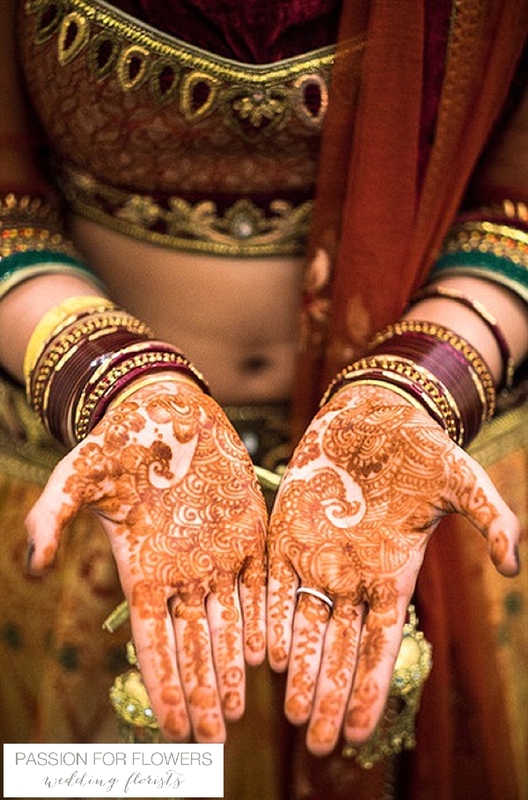 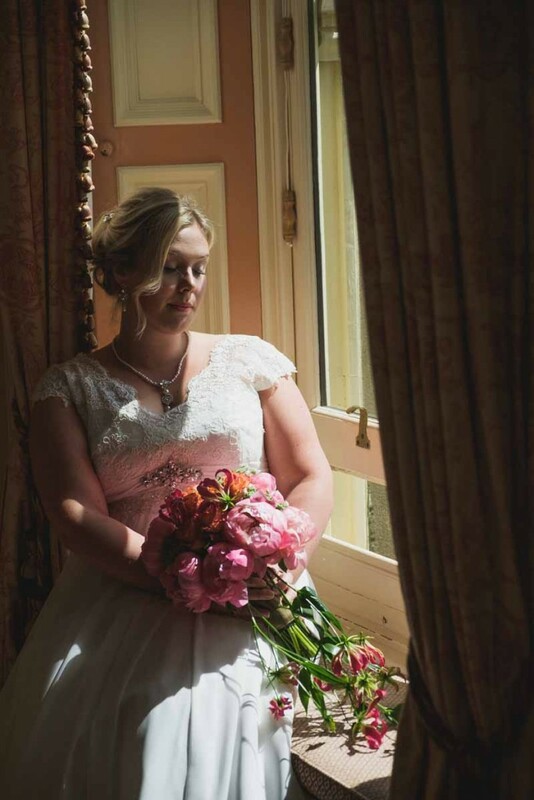 Rachel came to us with an idea of colours and an inspiration image and left the rest to us. 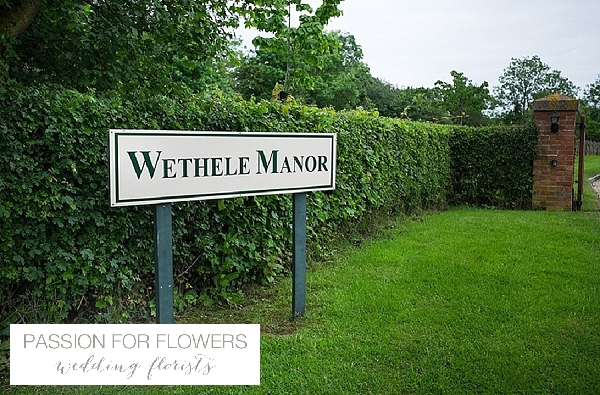 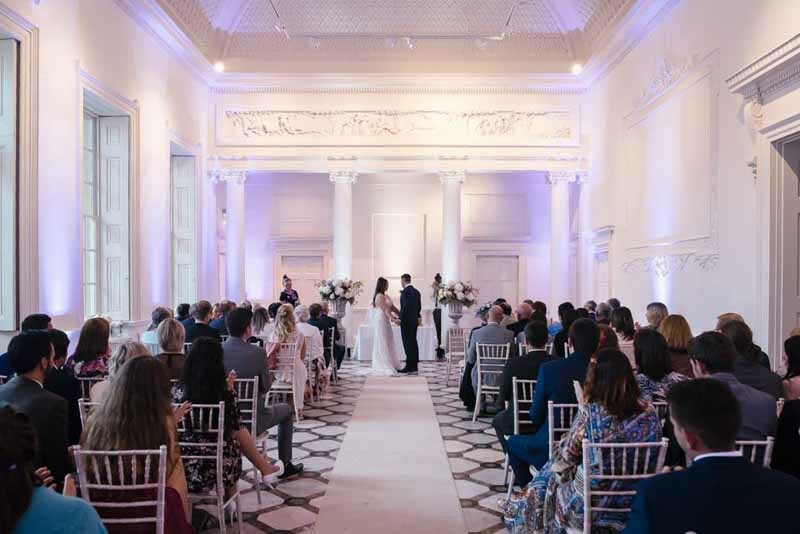 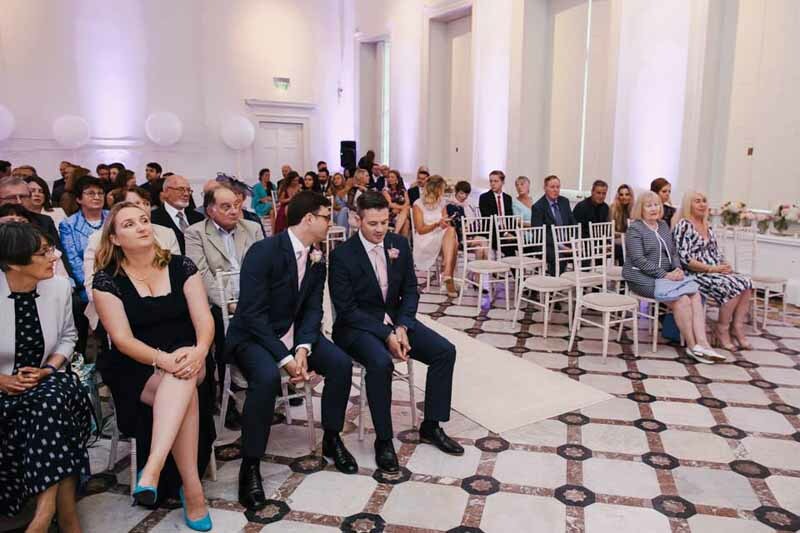 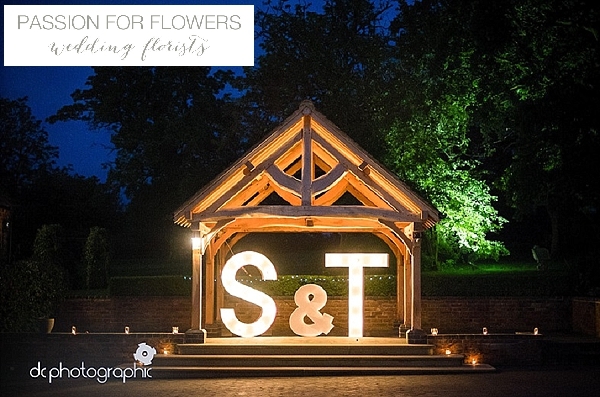 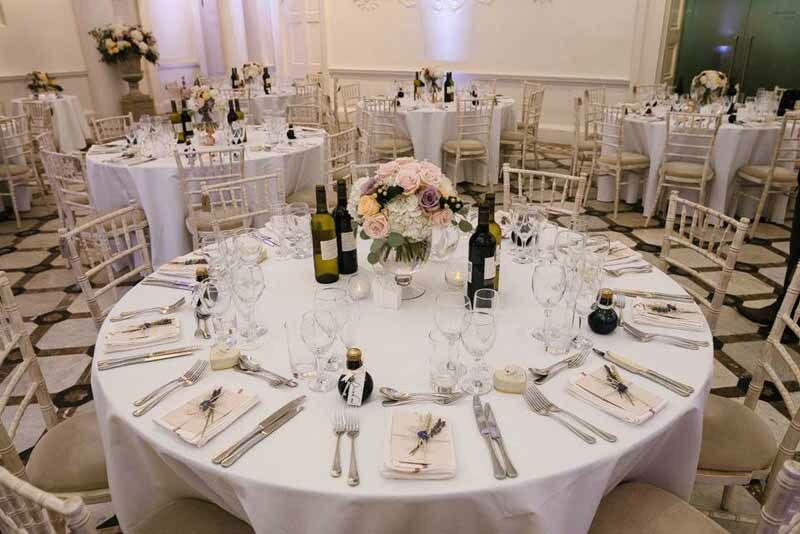 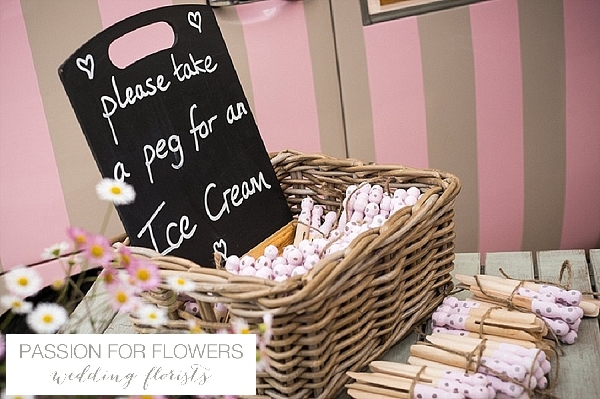 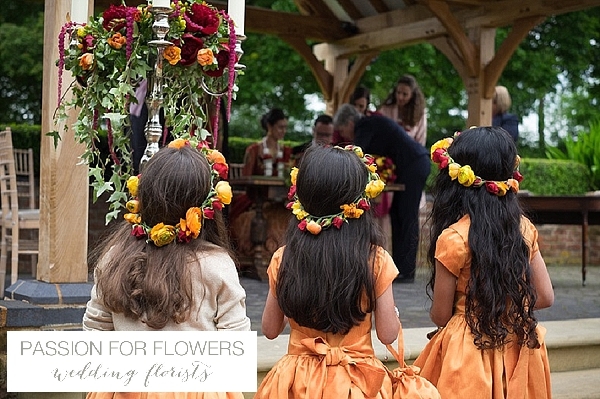 As we love creating flowers at Compton Verney and decorating this stunning venue they were in safe hands. 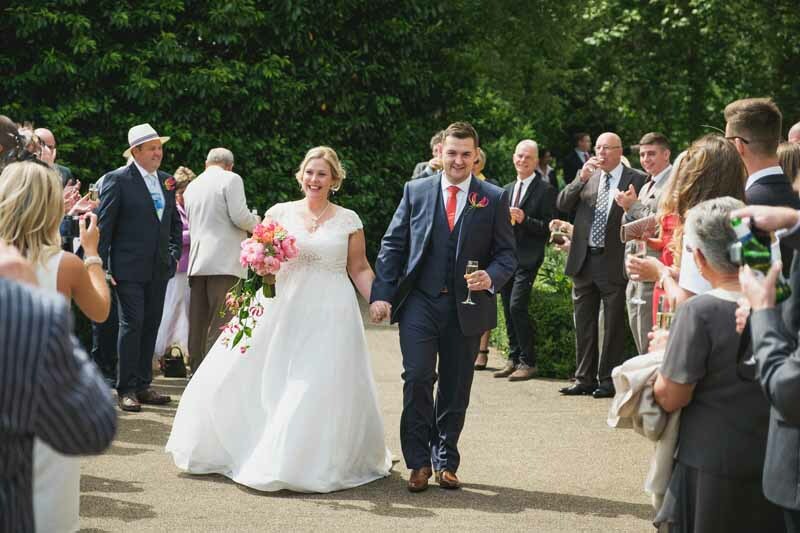 Chris Barber has captured their day perfectly for us to share with you. 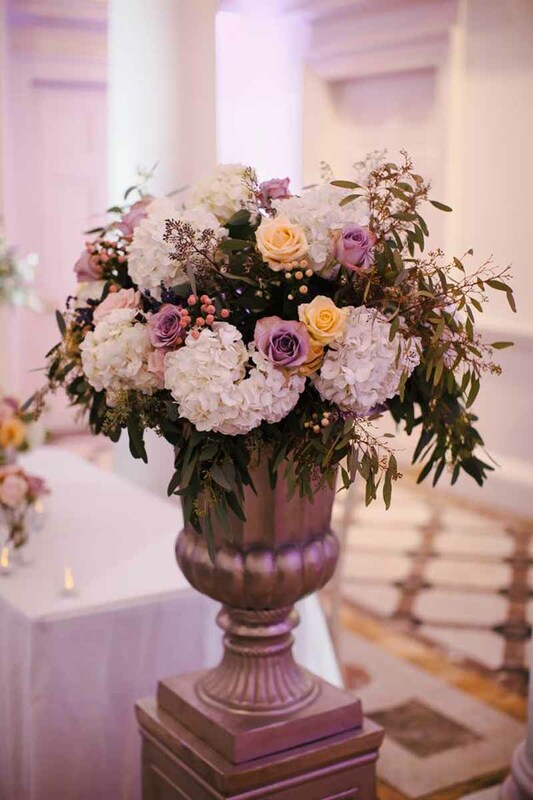 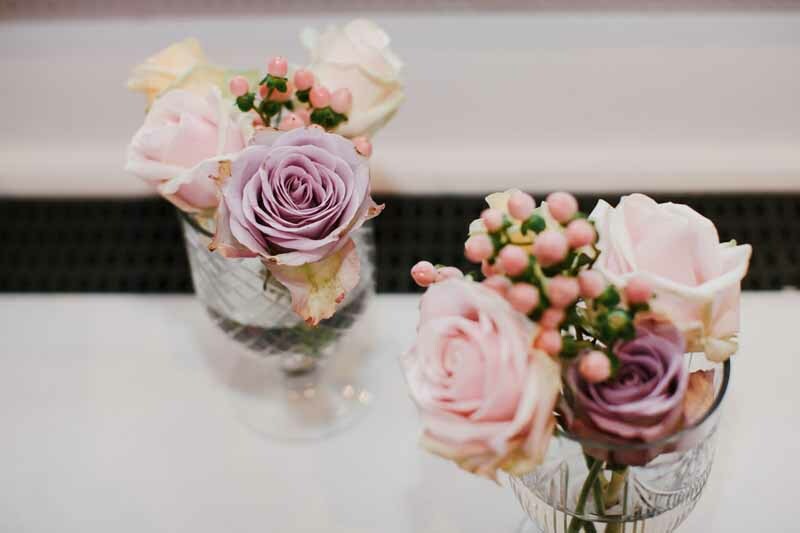 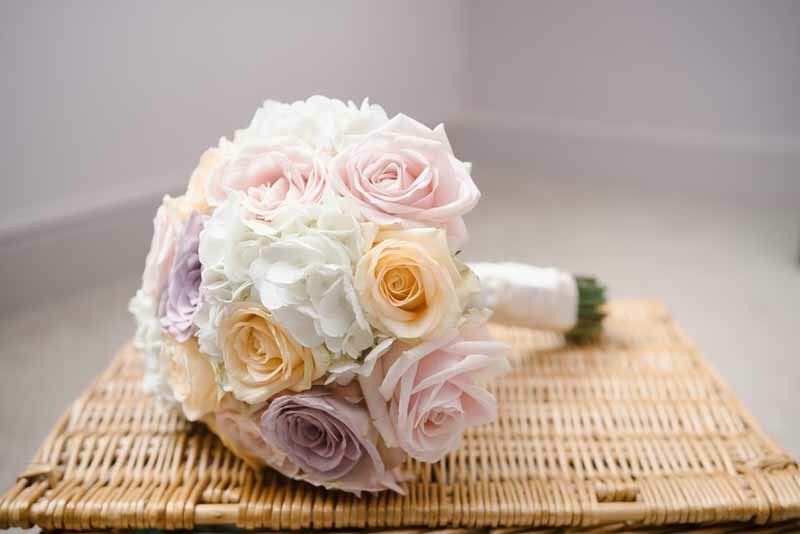 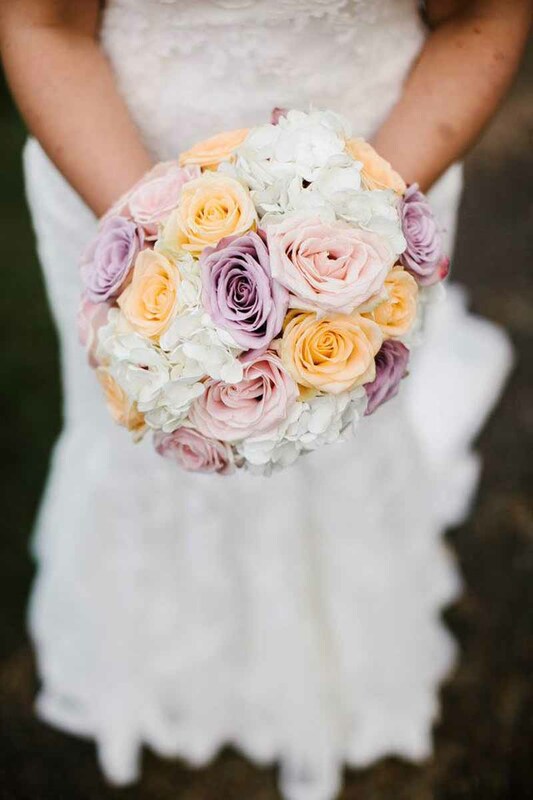 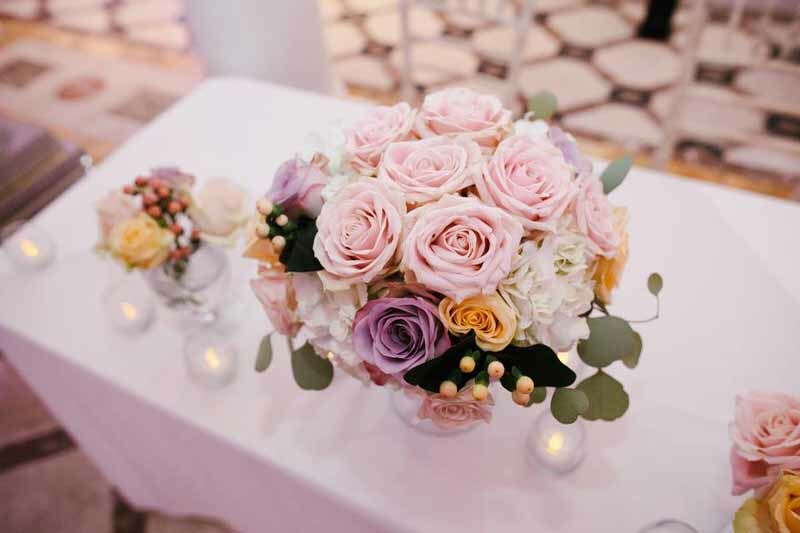 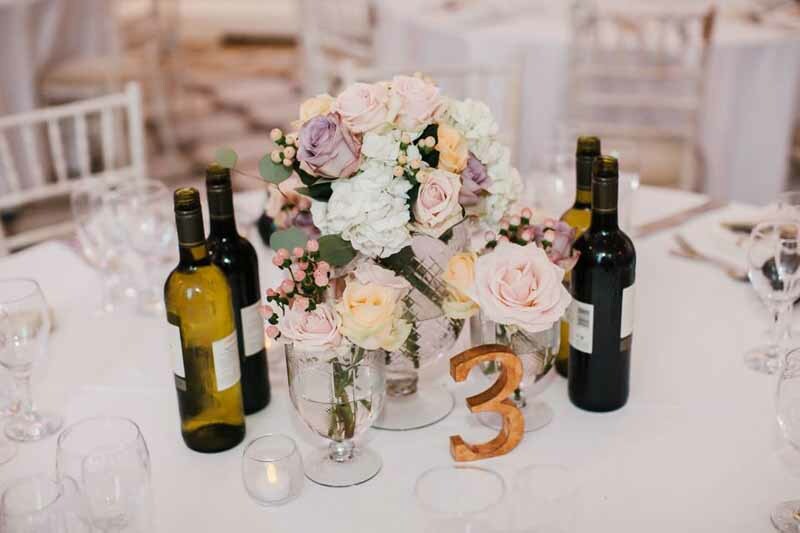 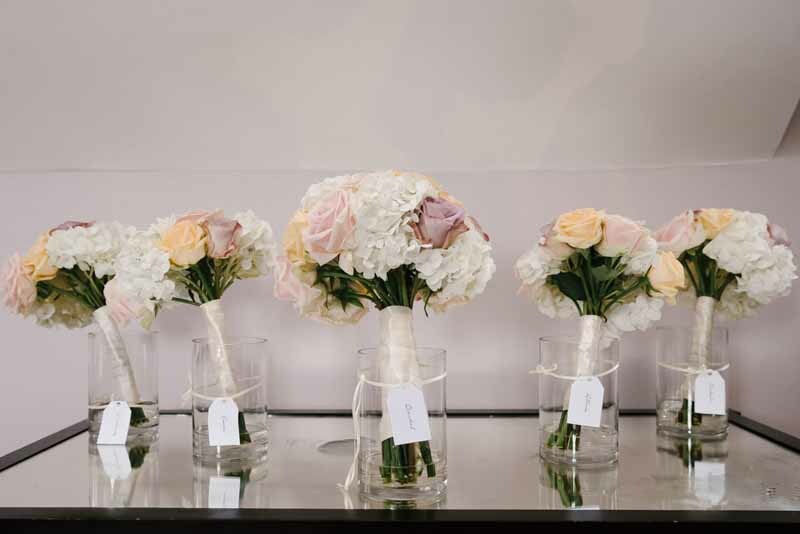 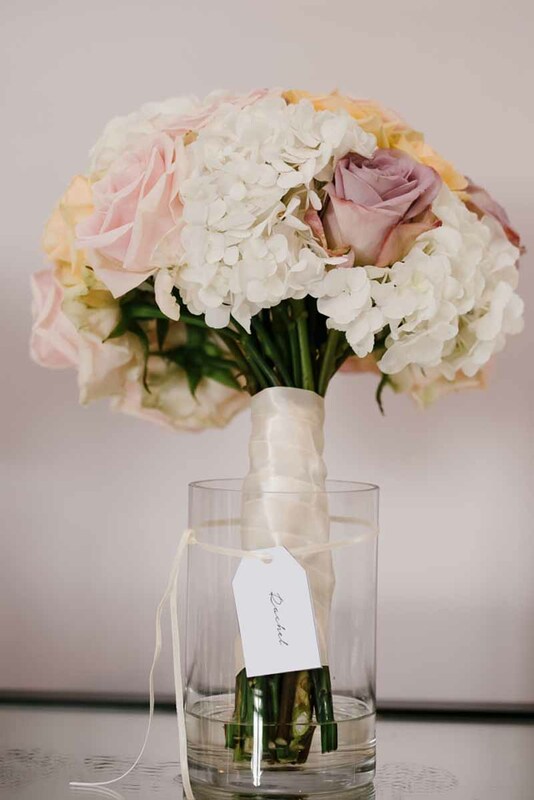 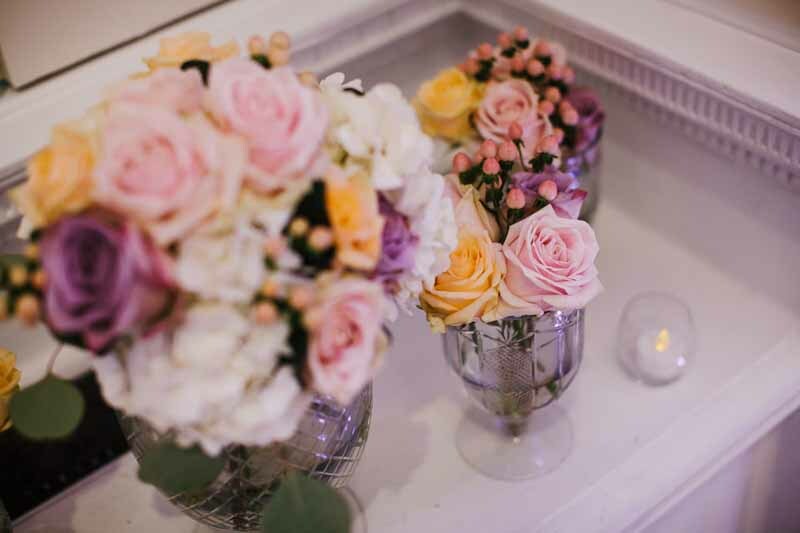 A soft mix of pinks, peaches and a hint of deeper tones were used in the hydrangea and rose bouquets. 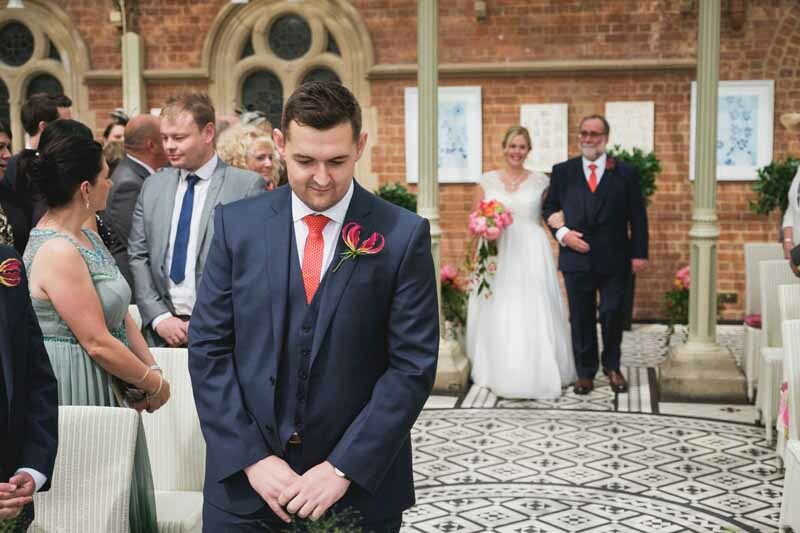 Nick and the groomsmen sported dusky pink, lavender and rosemary button holes. 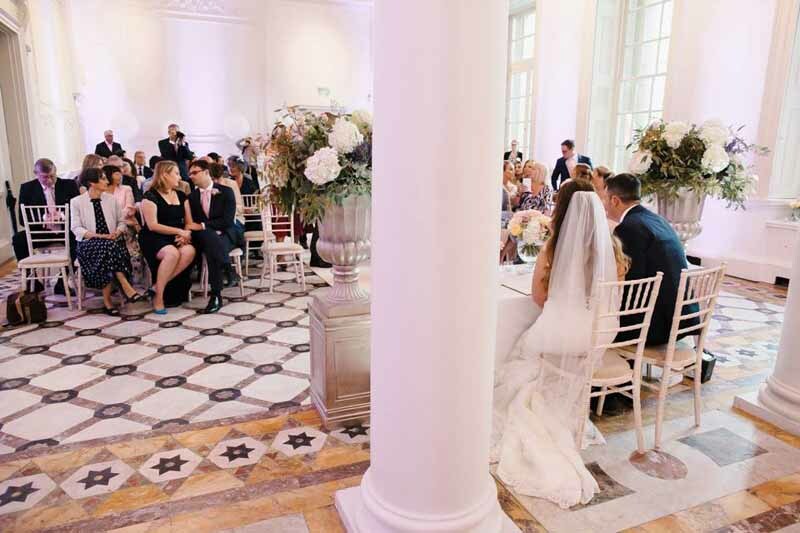 The Adams Hall is a large columned room and suits classic shapes. 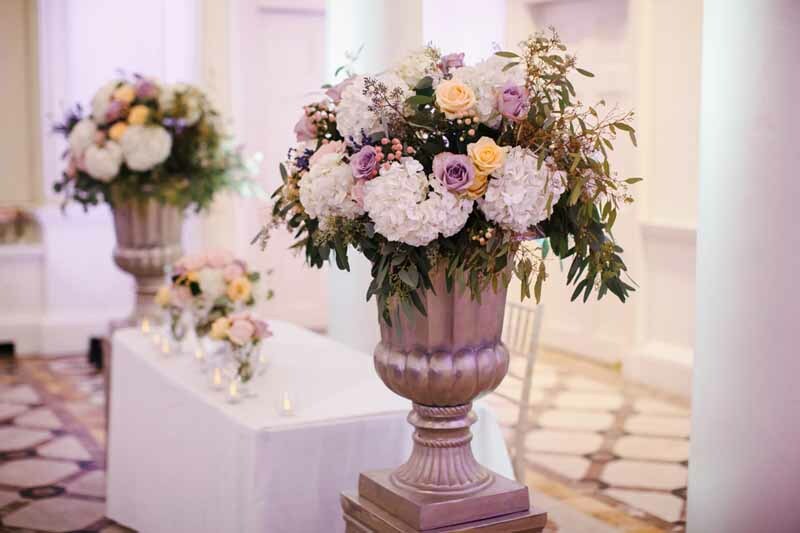 Large urns overflowing with roses sat either side of the ceremony table. 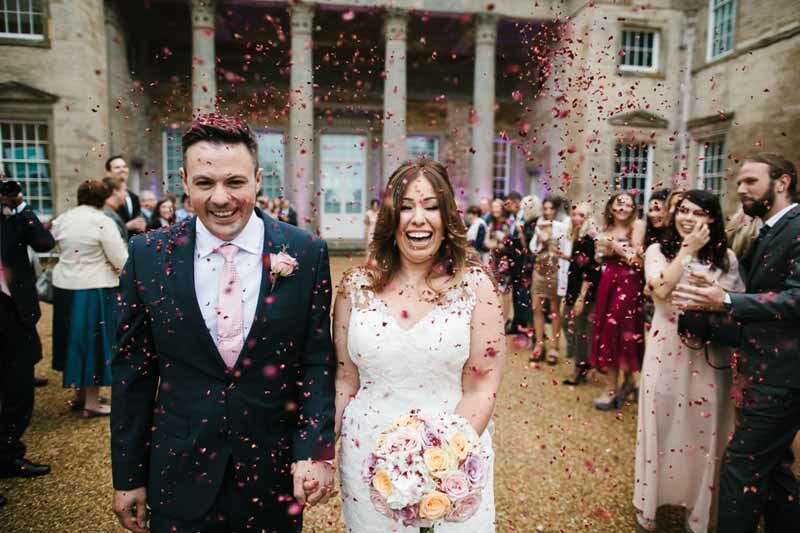 Guests enjoyed this confetti moment celebrating with the newlyweds. 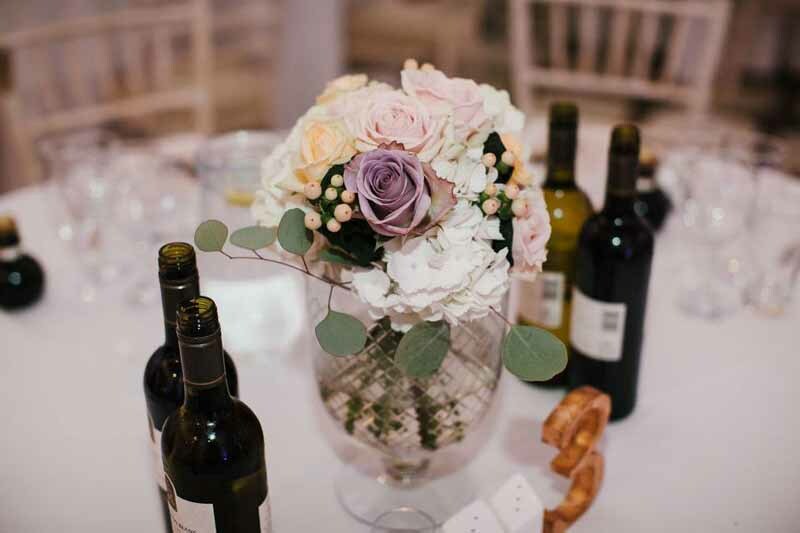 Glass footed vases had just been added to our collection of vases and vessels and made an elegant centrepiece for this wedding. 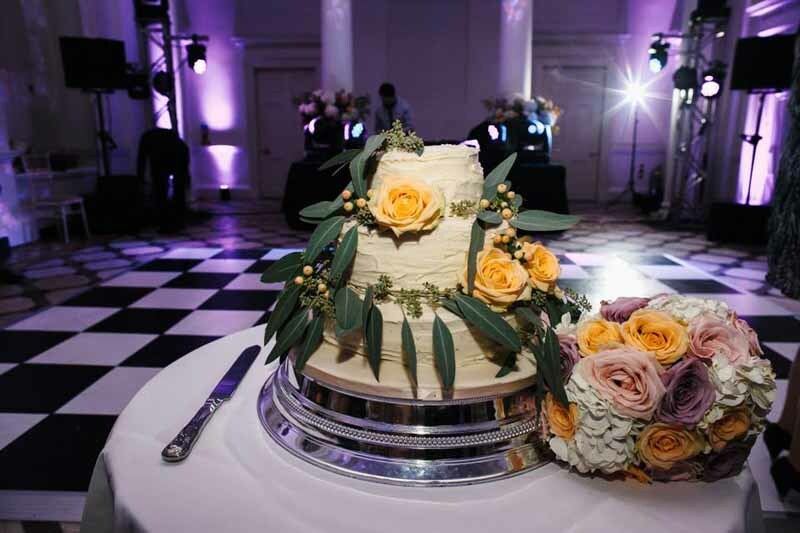 Just before we left the venue we added the flowers and decoration to the wedding cake in keeping with the look and feel of the day. 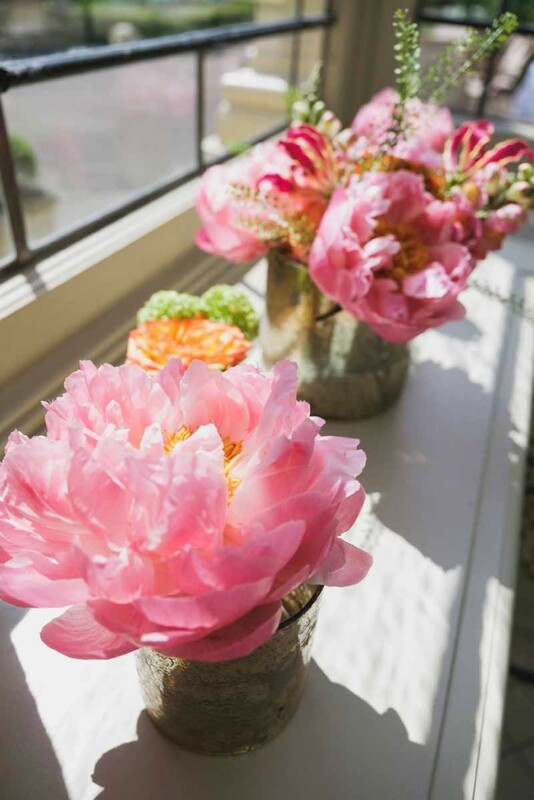 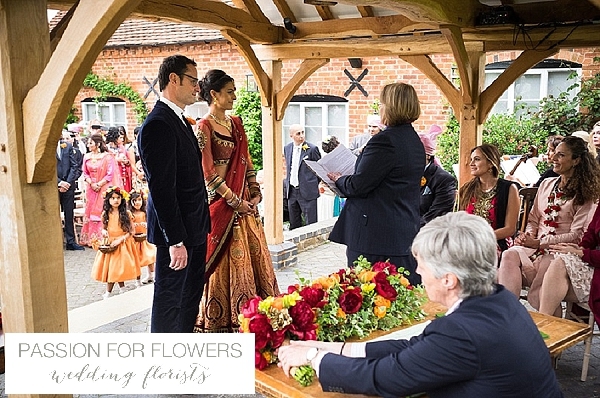 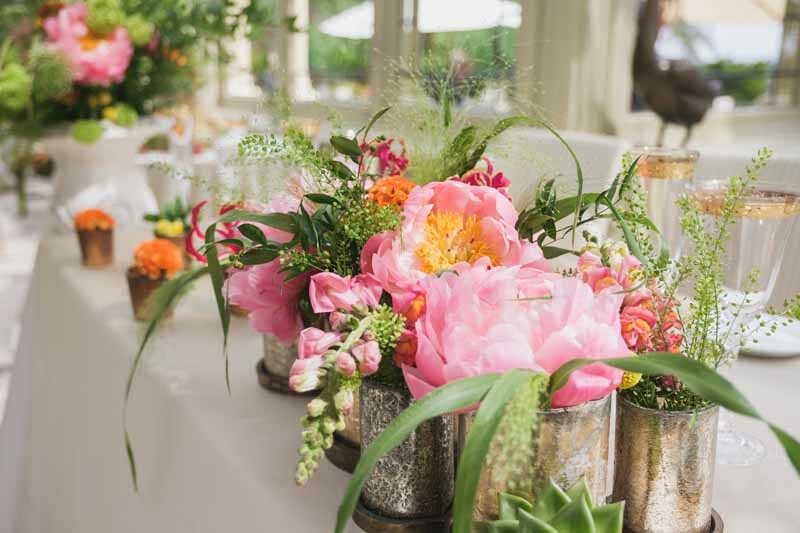 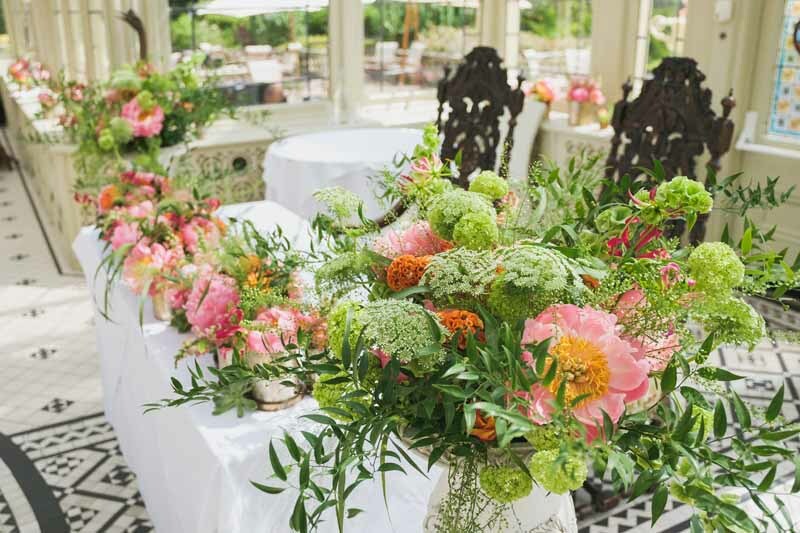 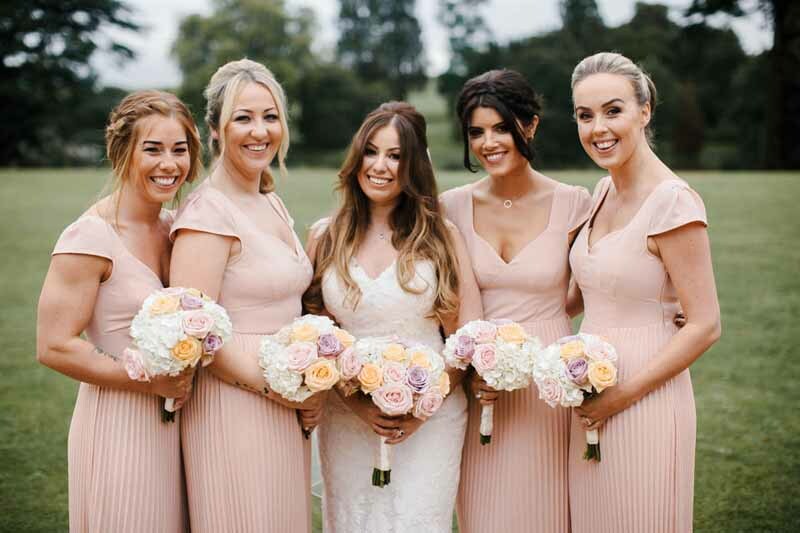 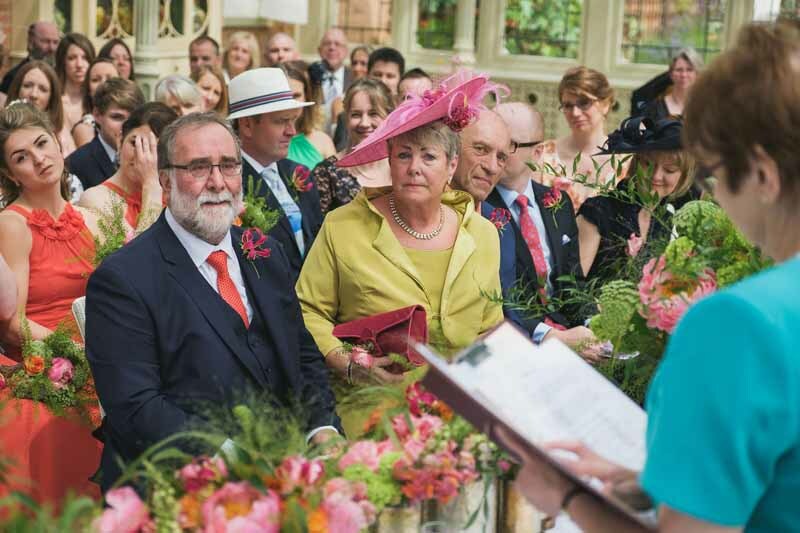 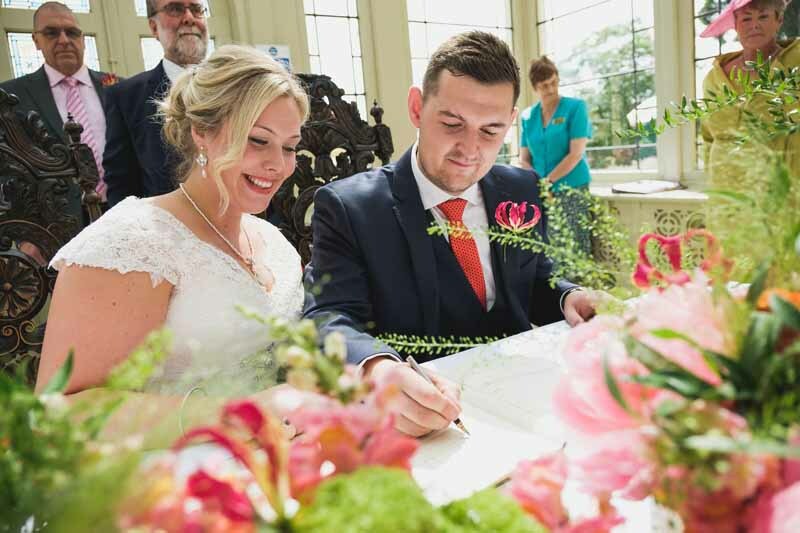 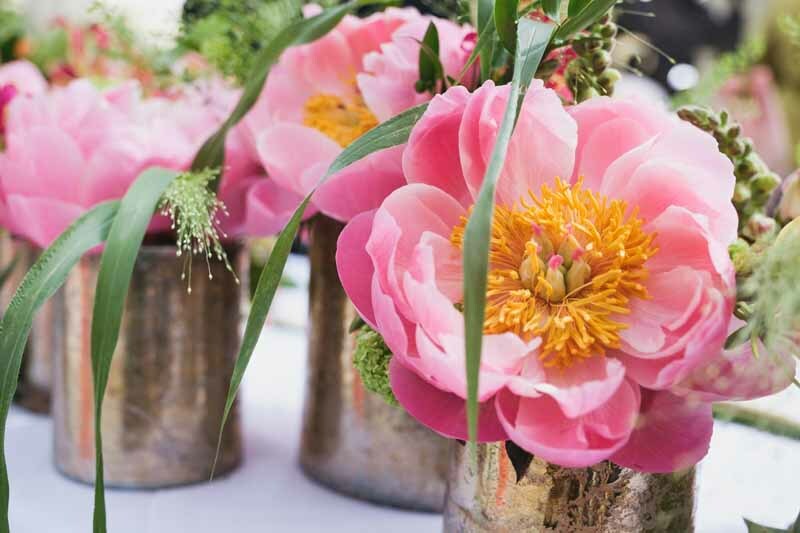 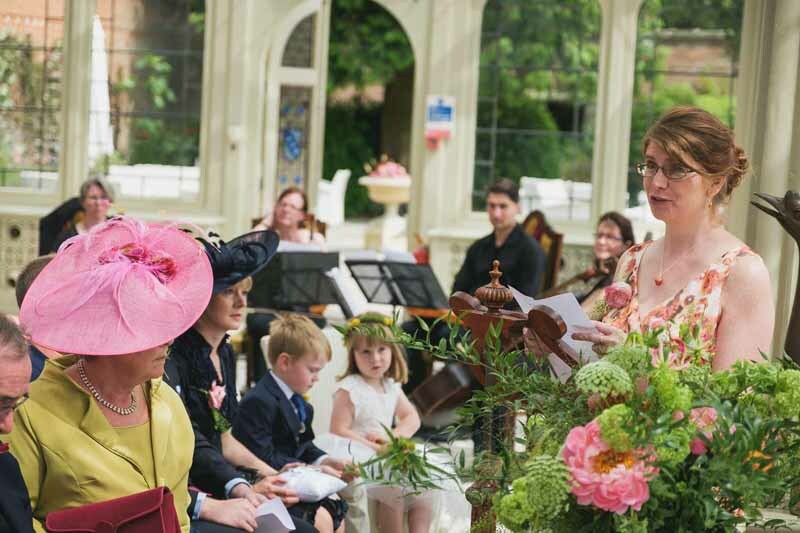 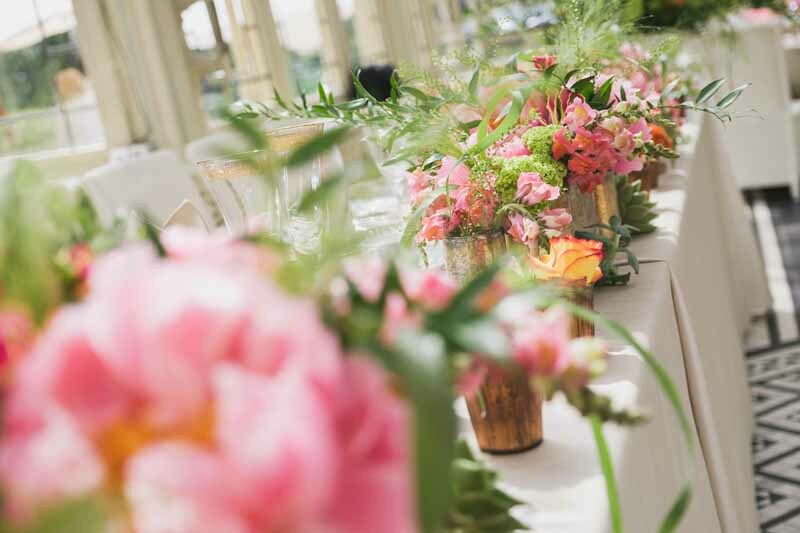 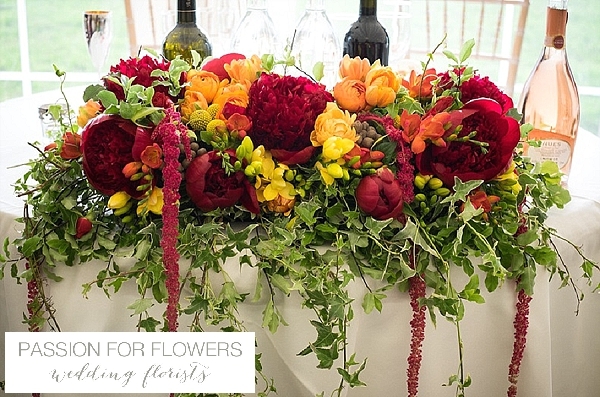 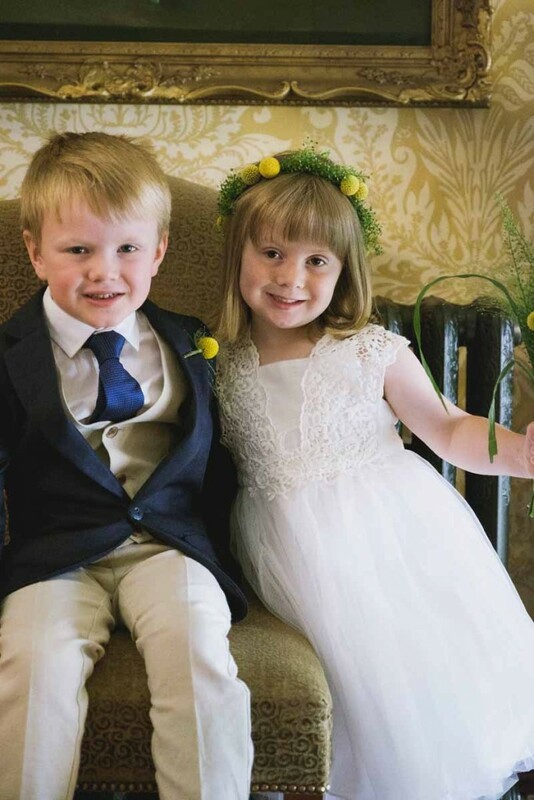 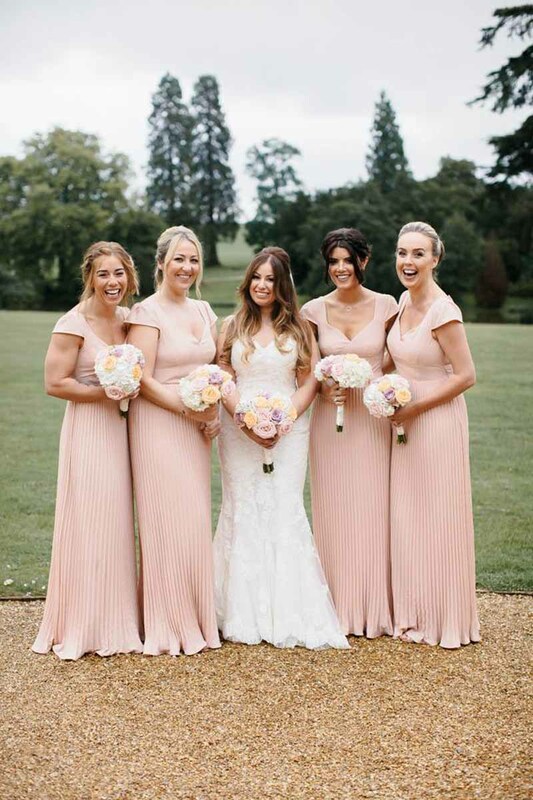 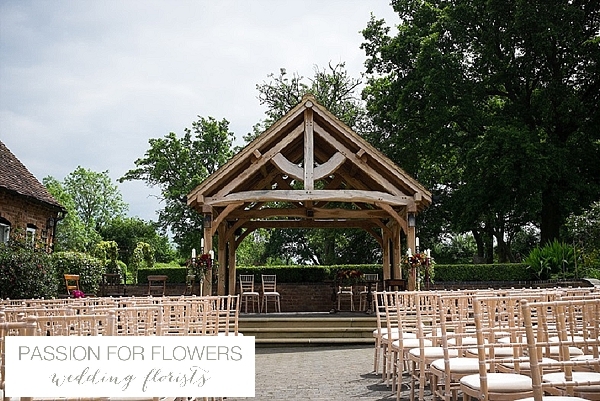 Kilworth House is a delight to decorate and Kathryn and Bailey were looking for natural flowers in bright warm colours, with coral peonies and gloriosa lilies. 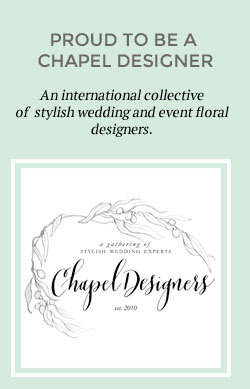 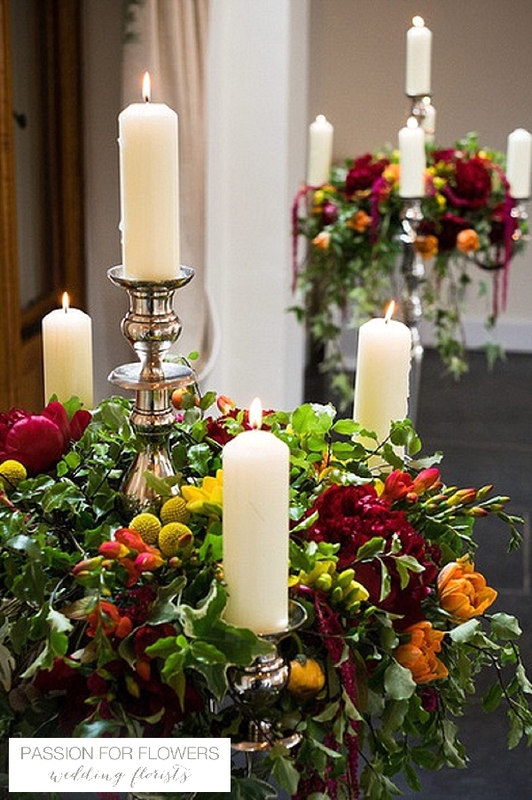 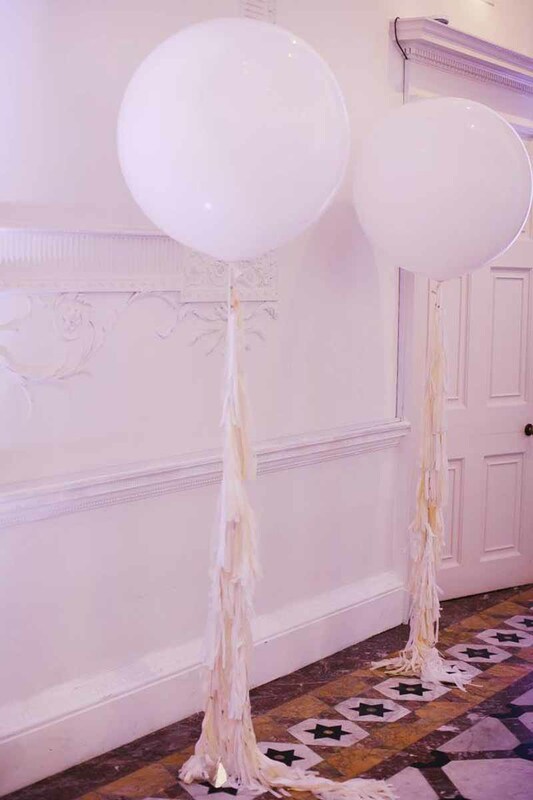 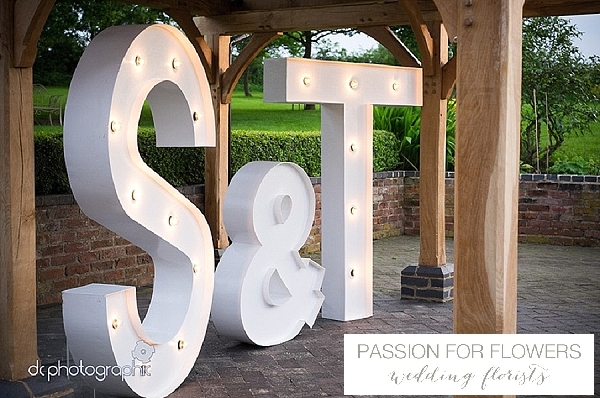 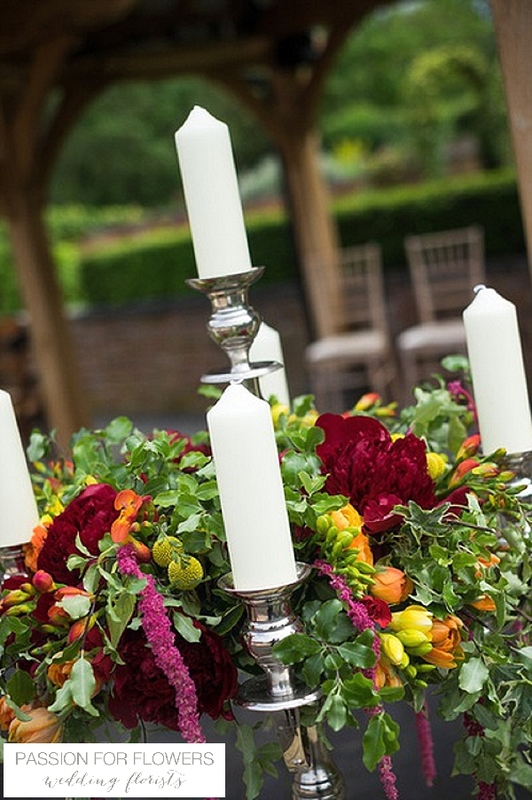 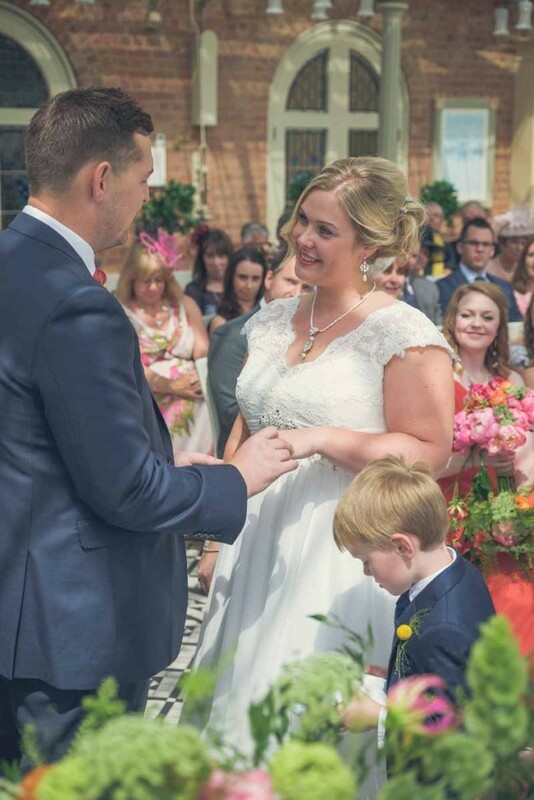 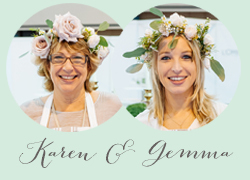 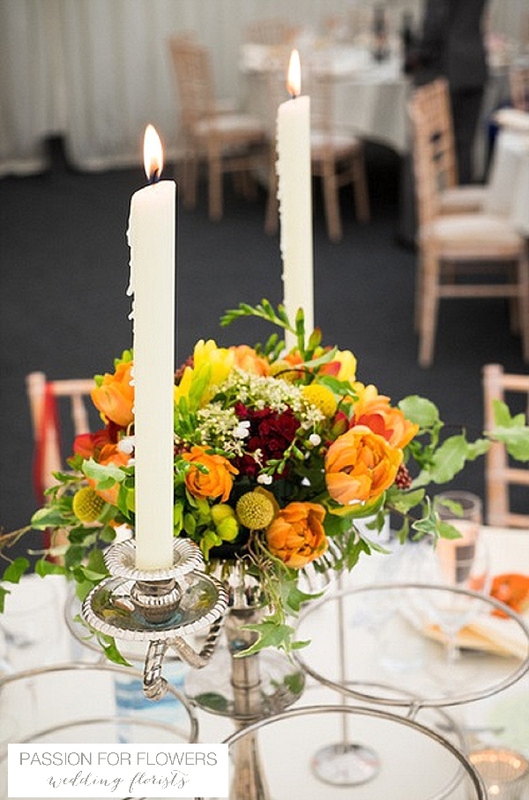 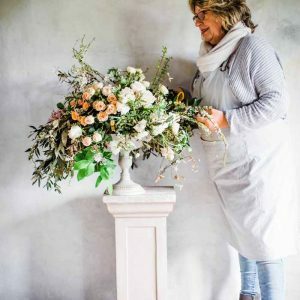 We first met at The National Wedding Show and were chosen to bring Kate’s vision to life. 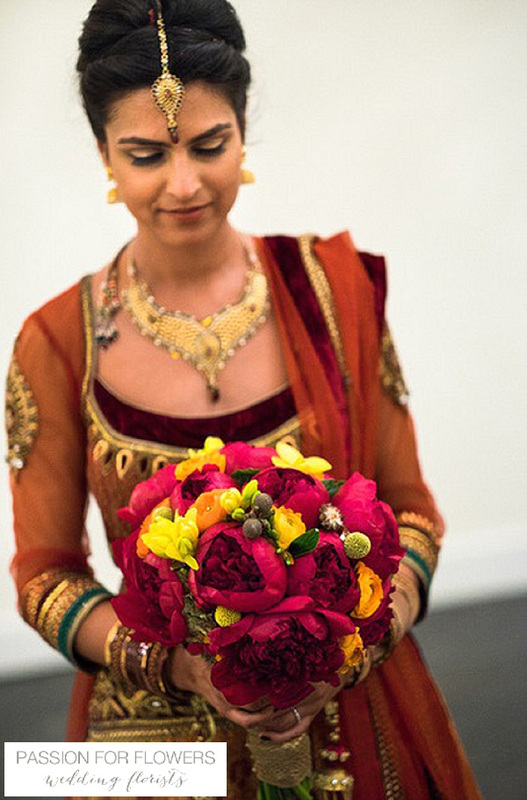 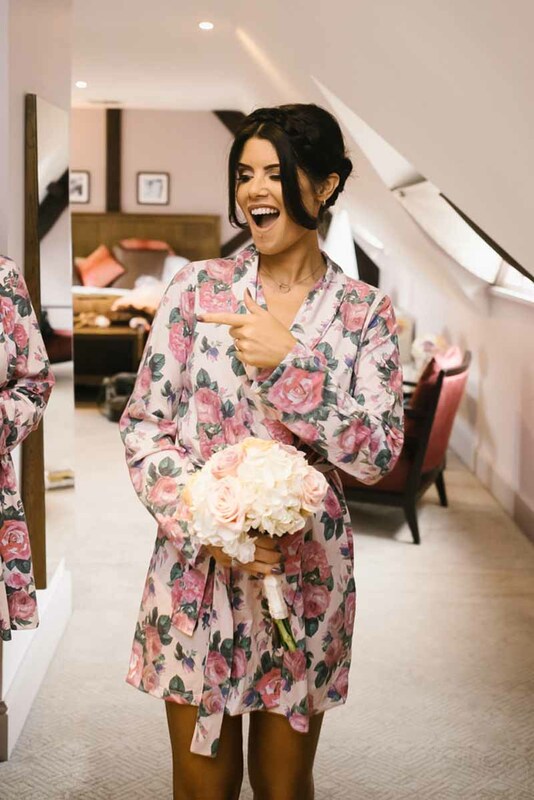 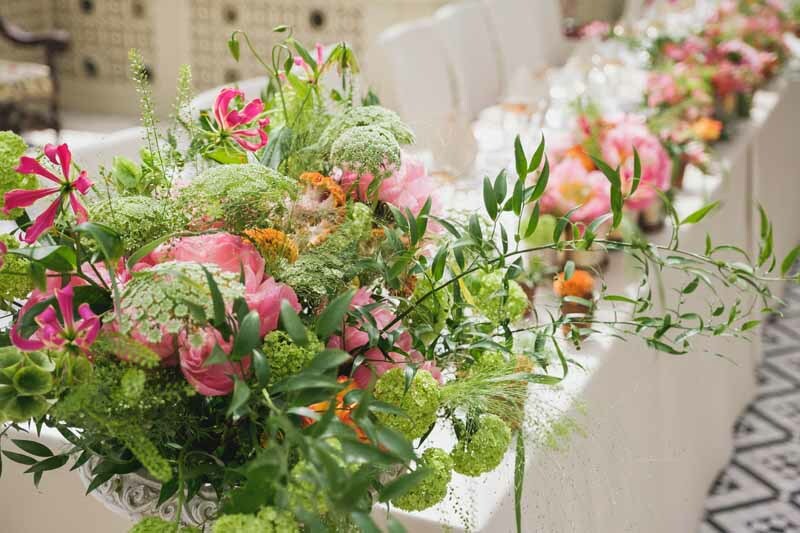 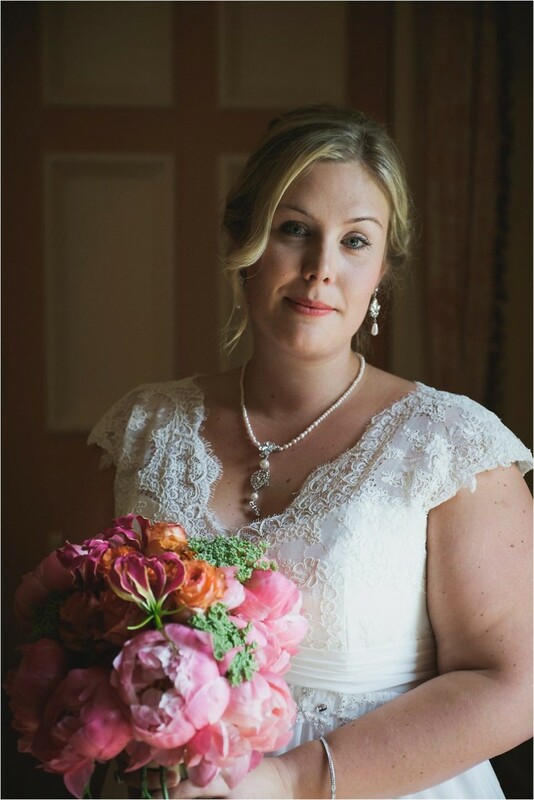 The bridal bouquet was a cascading design with coral peonies and trailing gloriosa lilies, together with highlights of orange roses and green dill which Kathryn carried with joy the whole day. 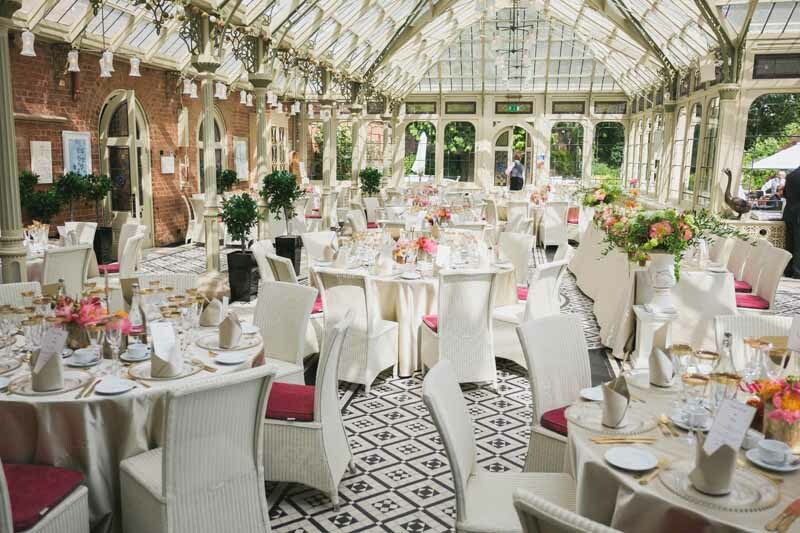 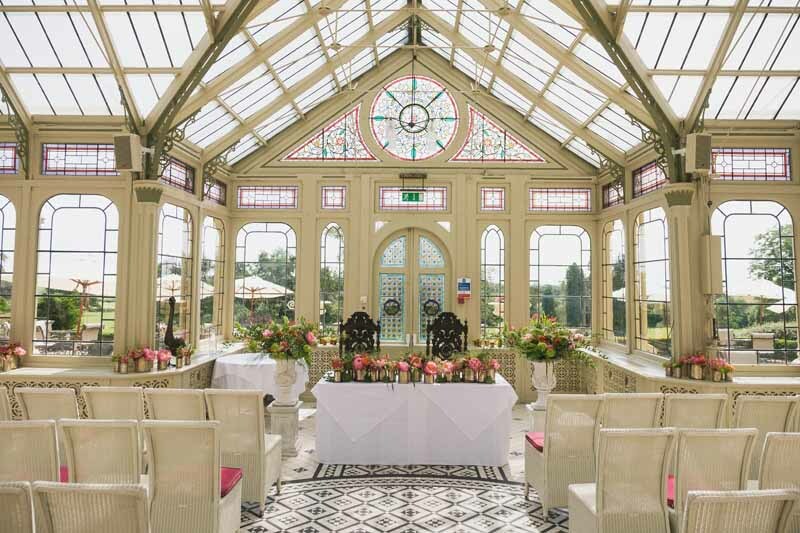 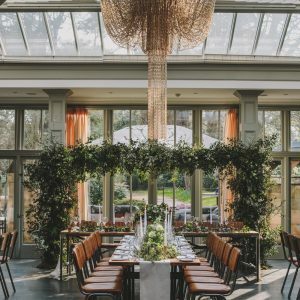 A luxe look is perfect for the Orangery at Kilworth House, with its elegant glass frame, window ledges and beautiful tiled floor. 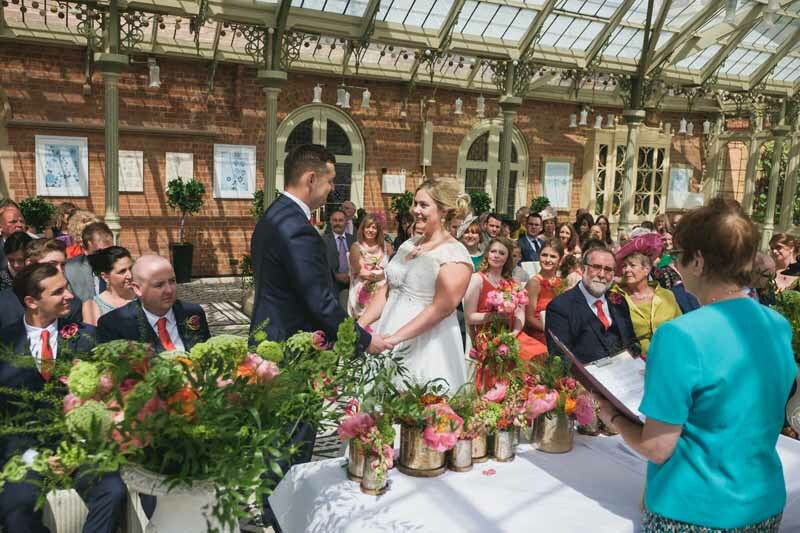 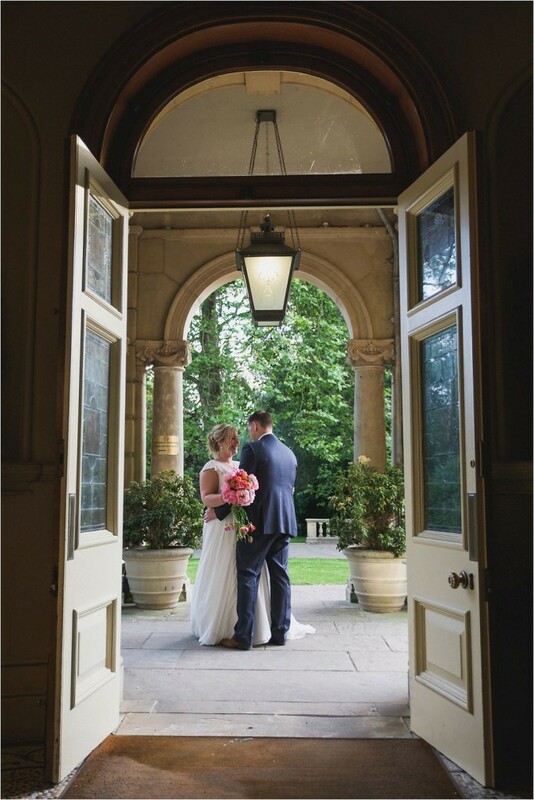 The colours were carefully selected with Kathryn and her mum and they brought the Orangery to life. 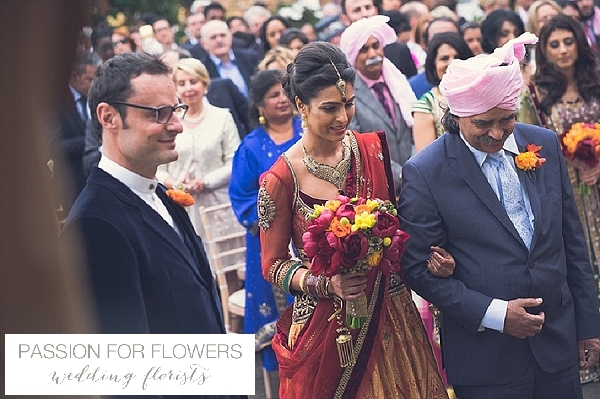 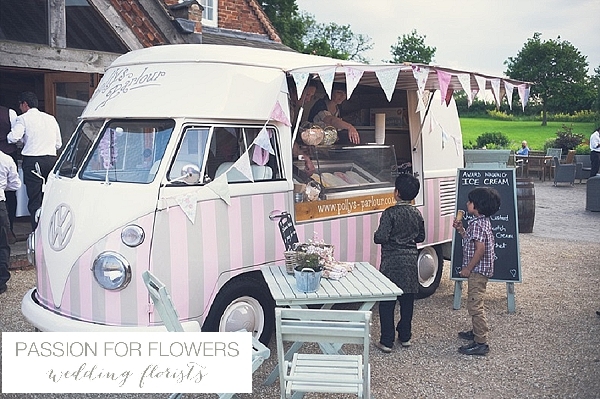 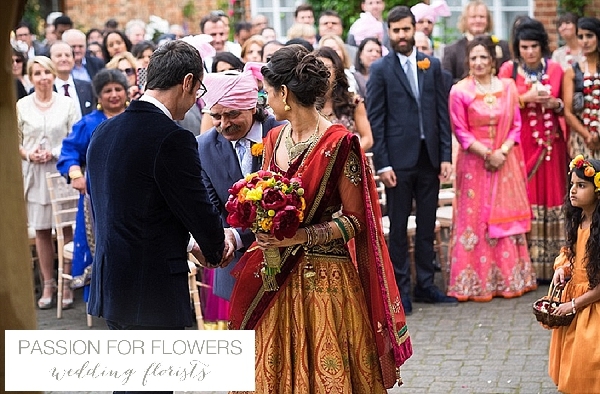 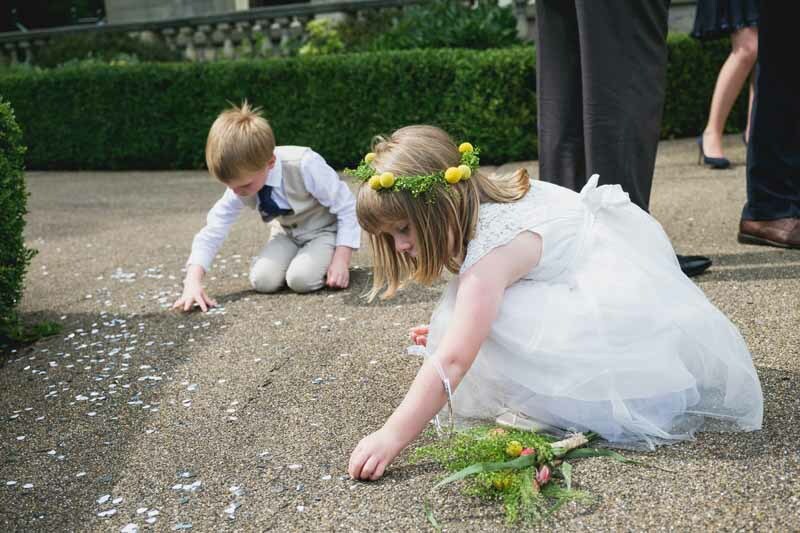 I just love the image of the flower girl with her flower crown and whimsical posy collecting confetti below, completely oblivious to the grown ups around. 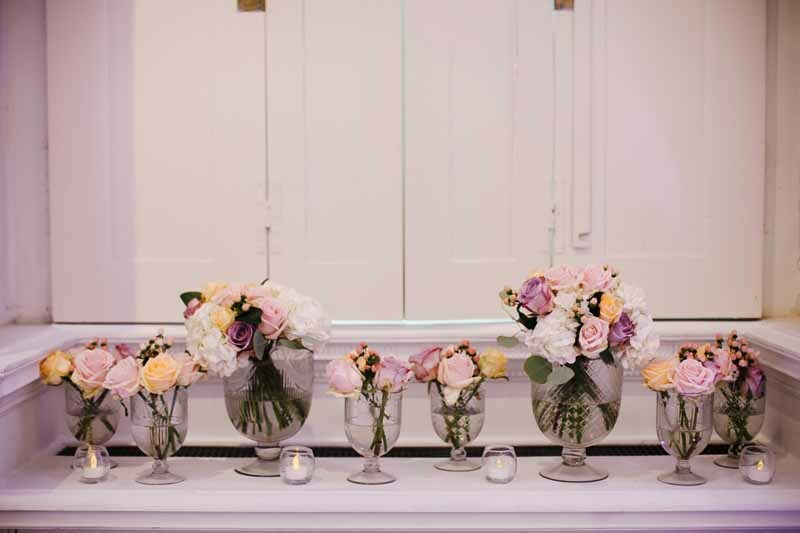 Whilst guests enjoyed drinks and canapes on the terrace the team moved in to decorate the room with luxe gold vases as centrepieces. 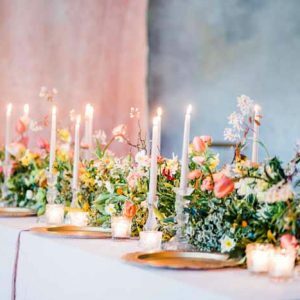 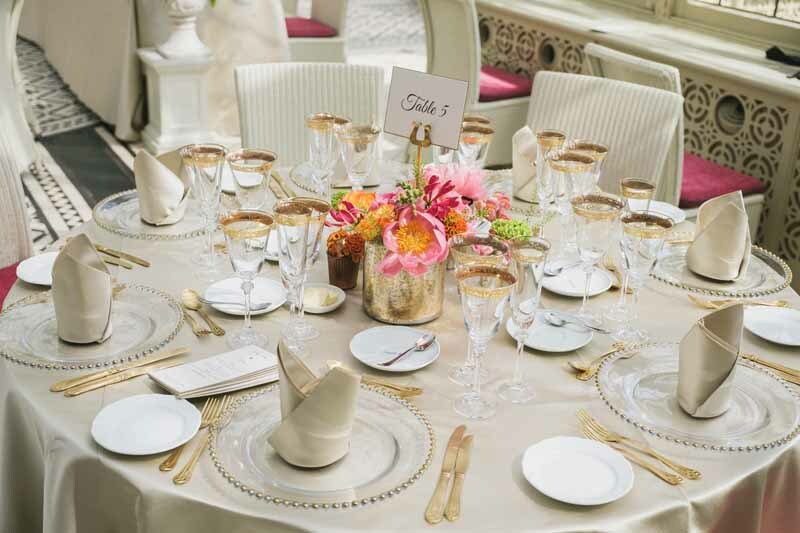 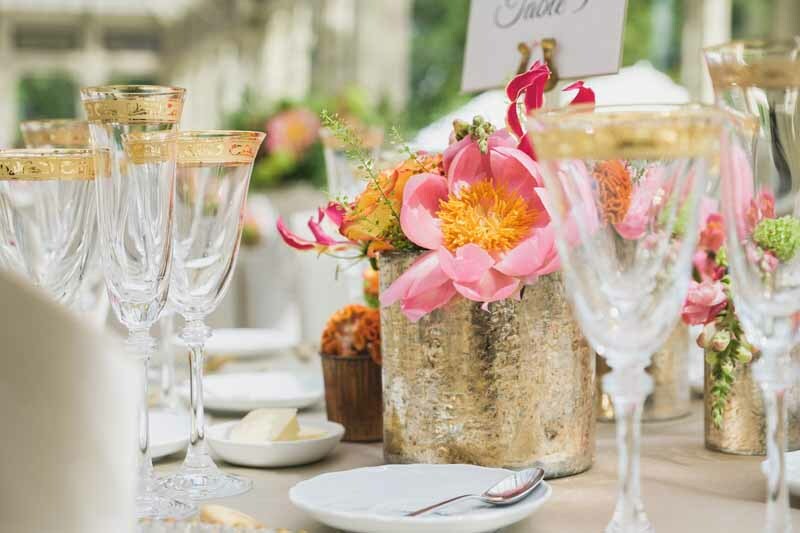 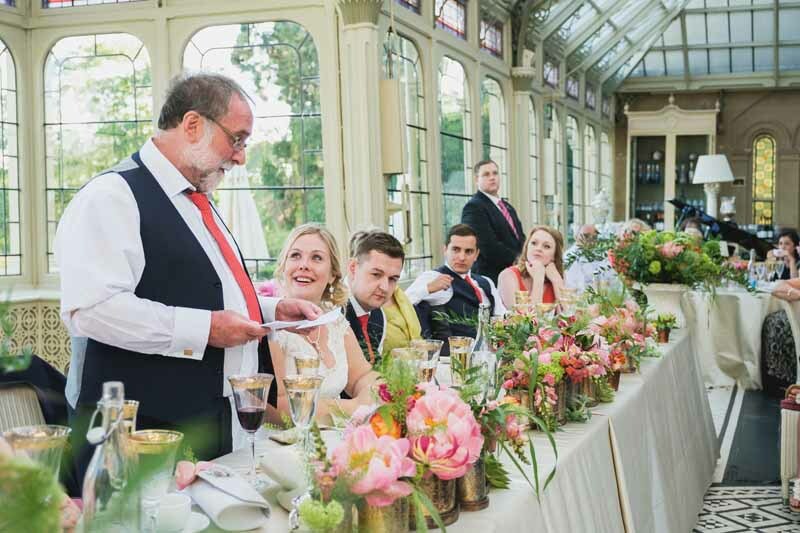 The flowers in bright pink, coral and orange complemented the soft gold cloths, stylish charger plates, gold cutlery and luxe glassware. 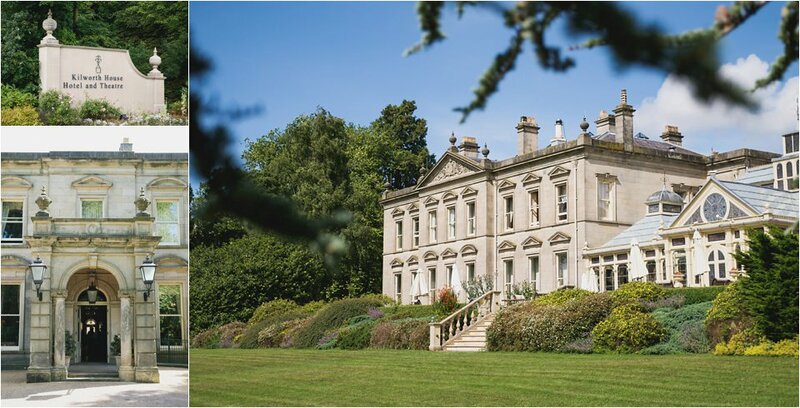 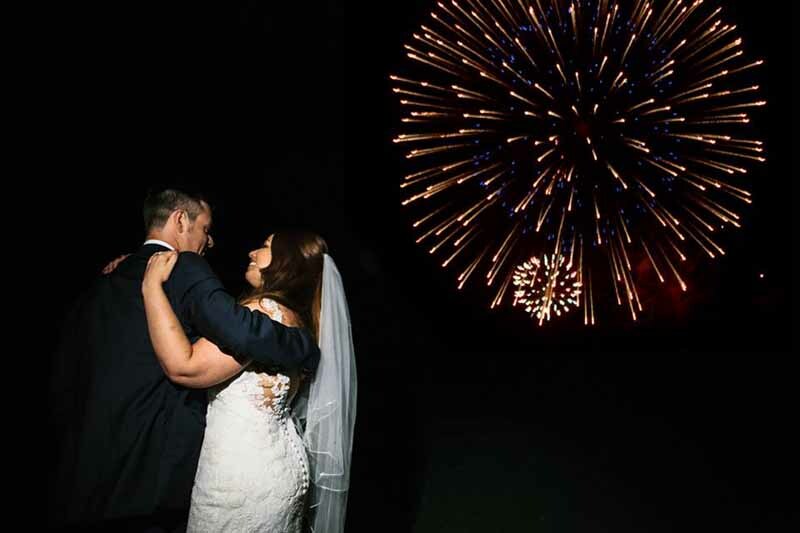 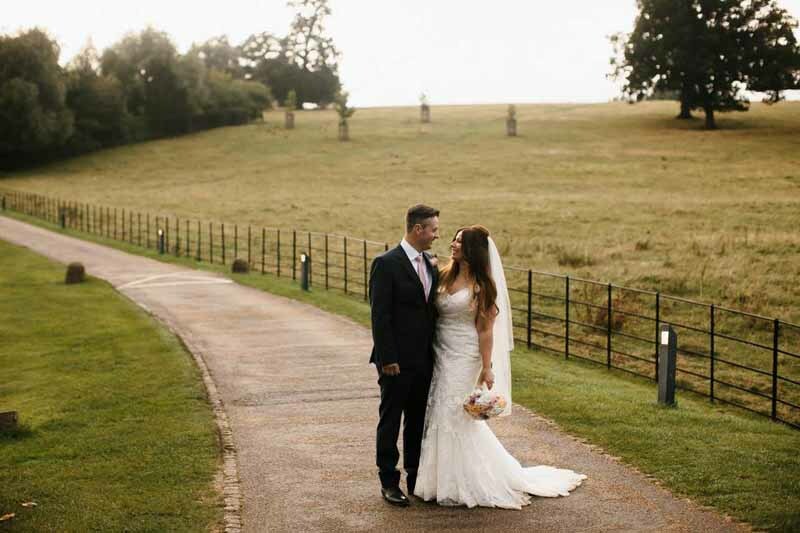 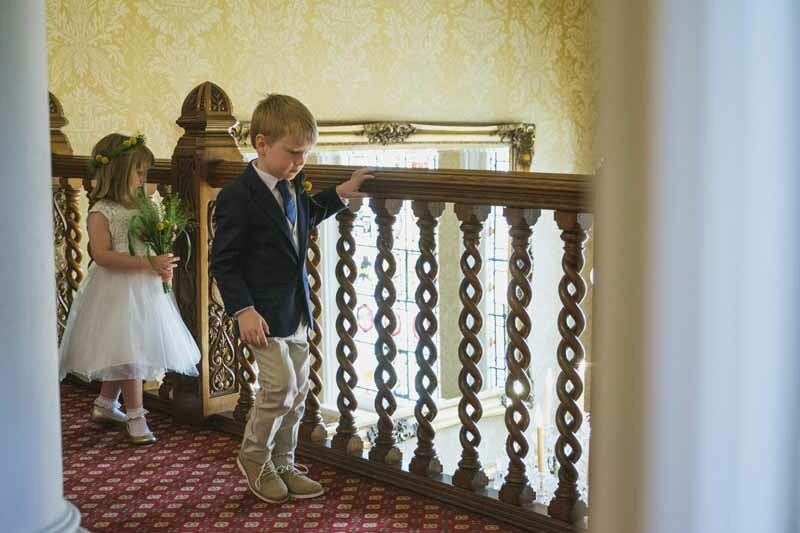 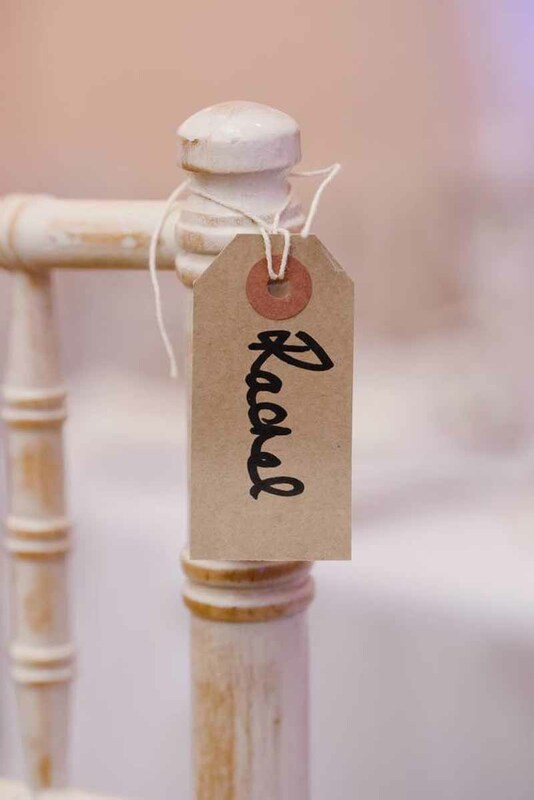 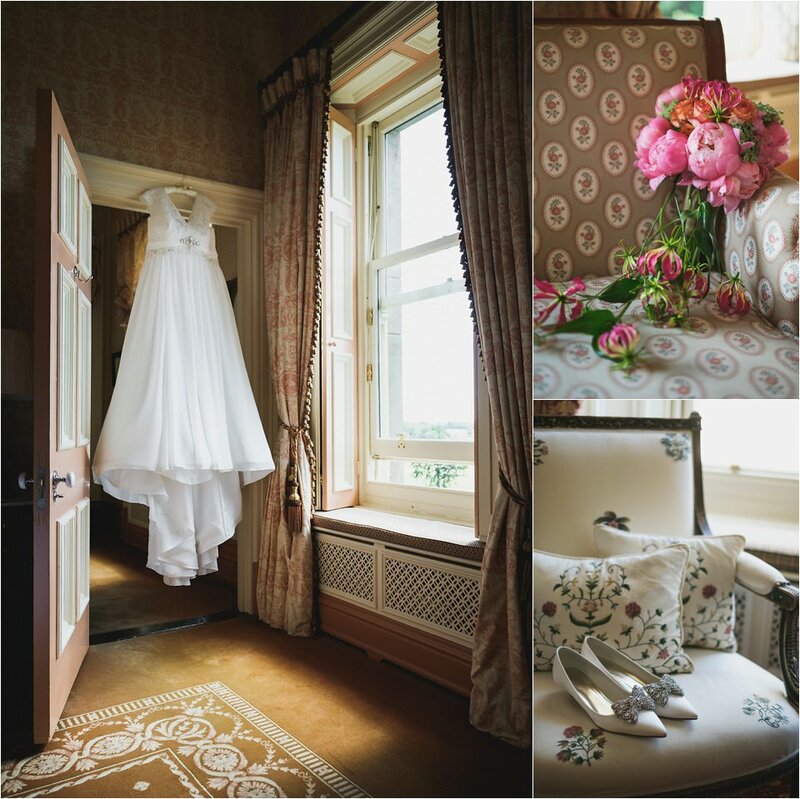 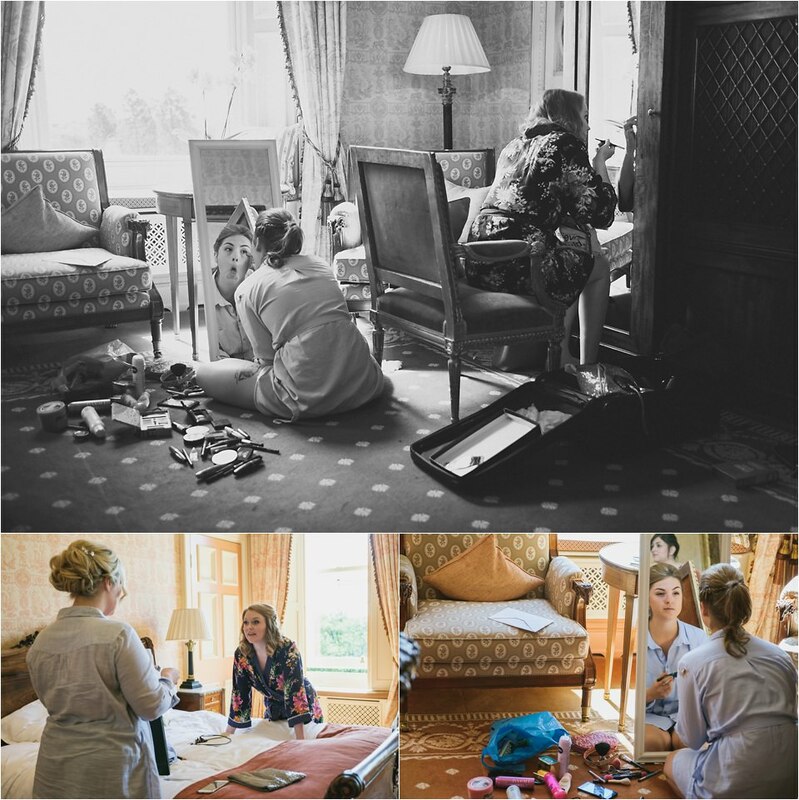 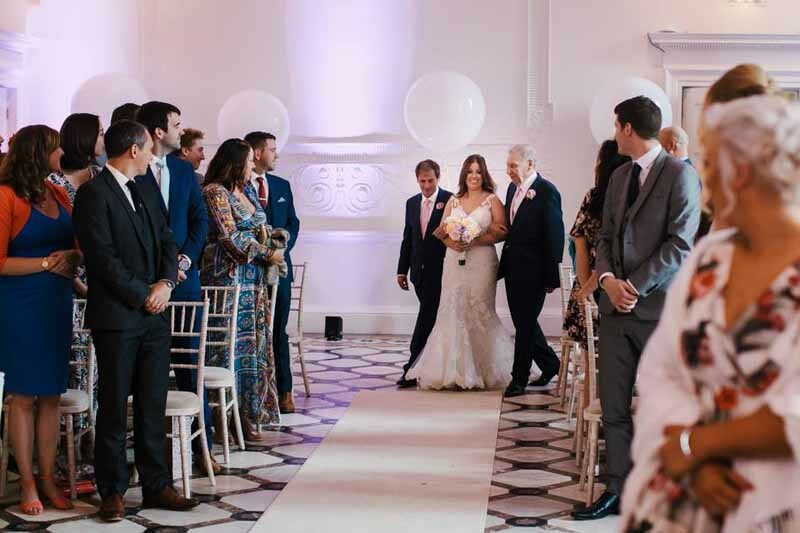 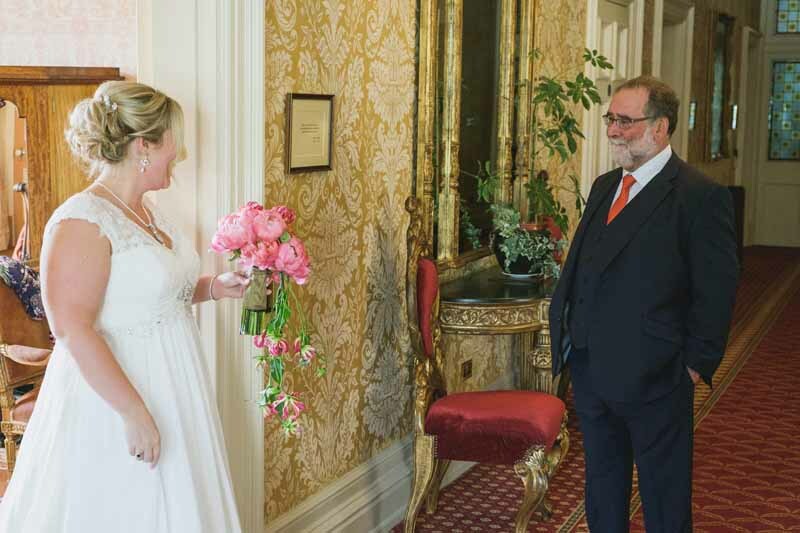 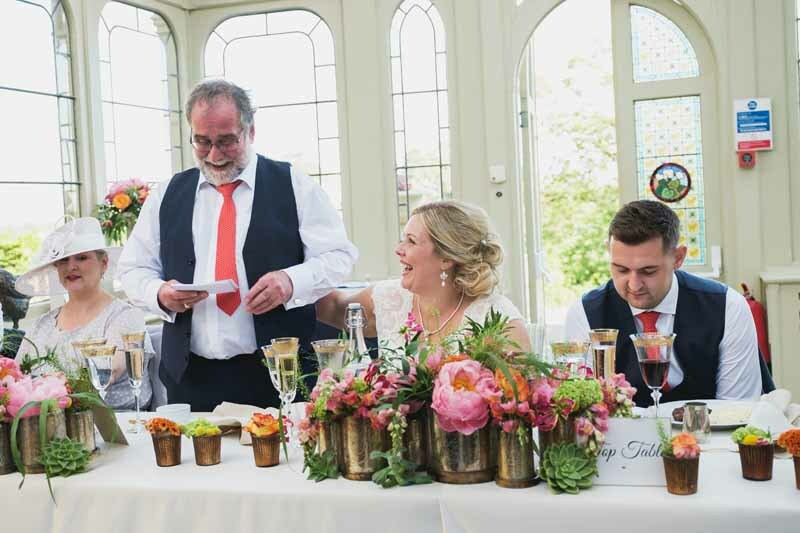 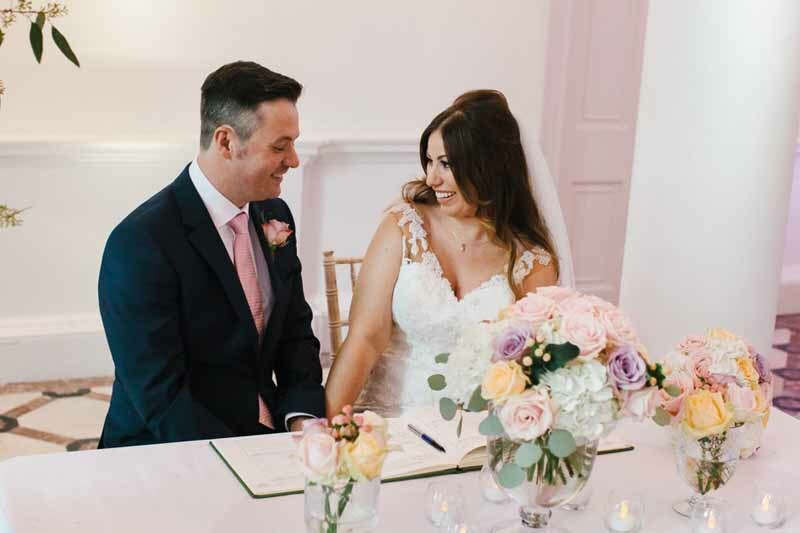 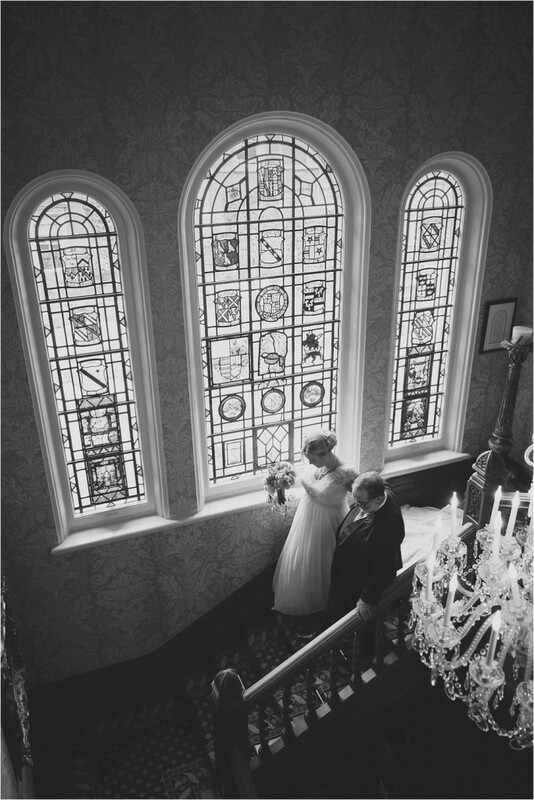 Every last detail was carefully coordinated to ensure this Kilworth House couple had the most amazing of wedding days. 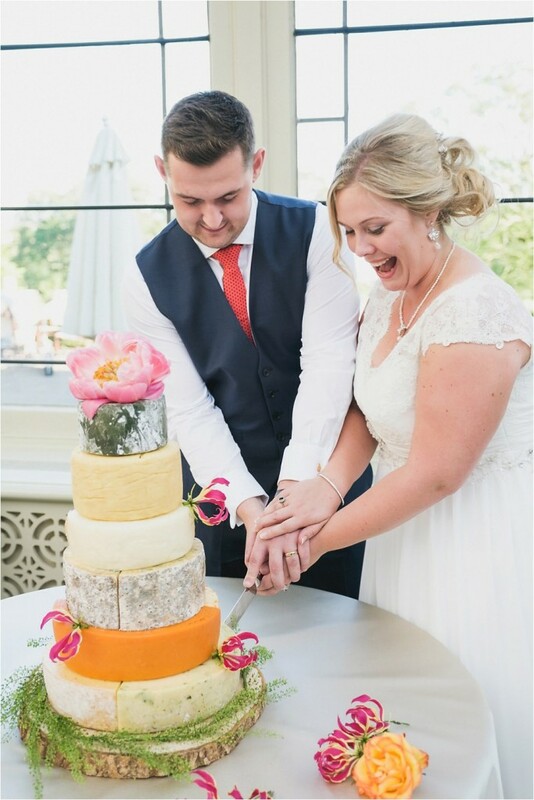 Bailey, Kathryn and families have a love of good food and cheese so the choice of cake was a labour of love. 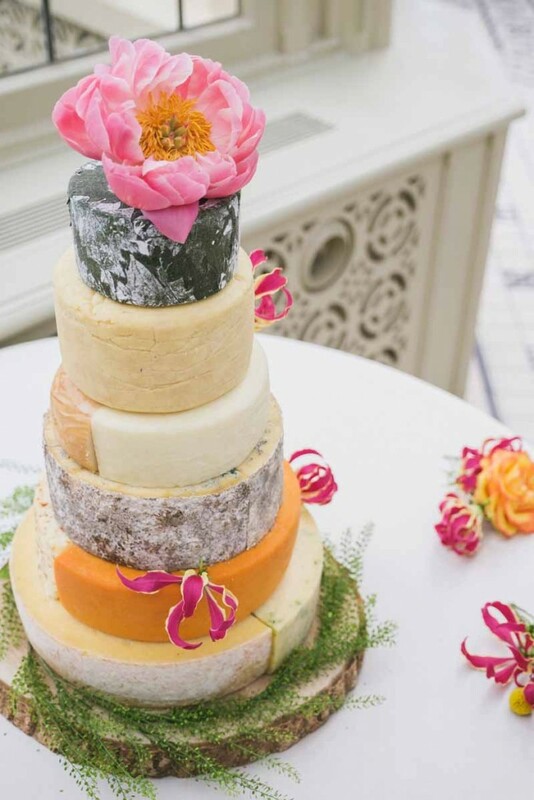 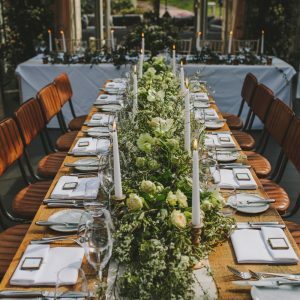 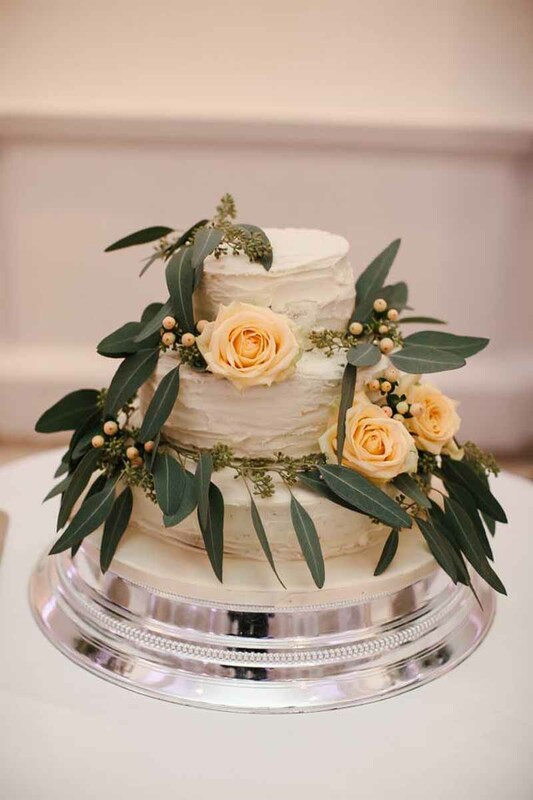 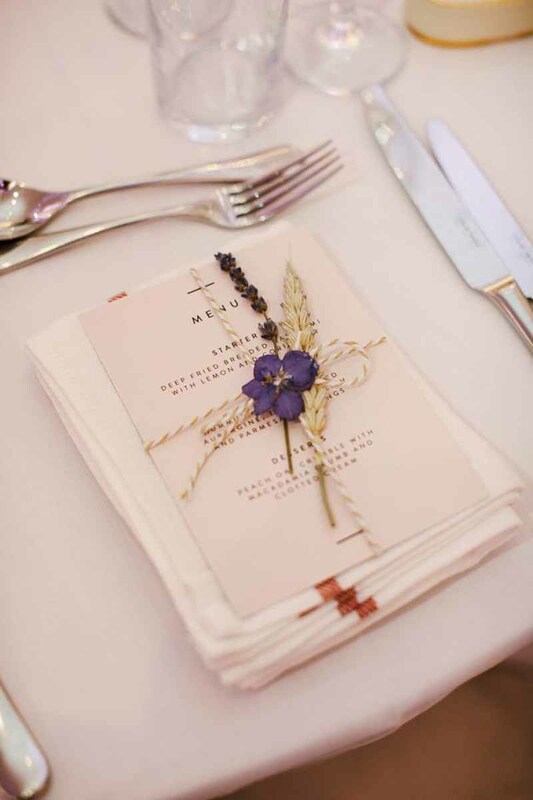 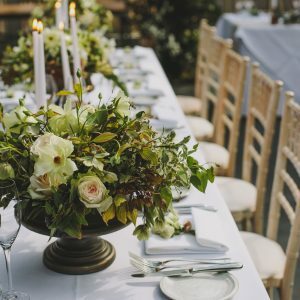 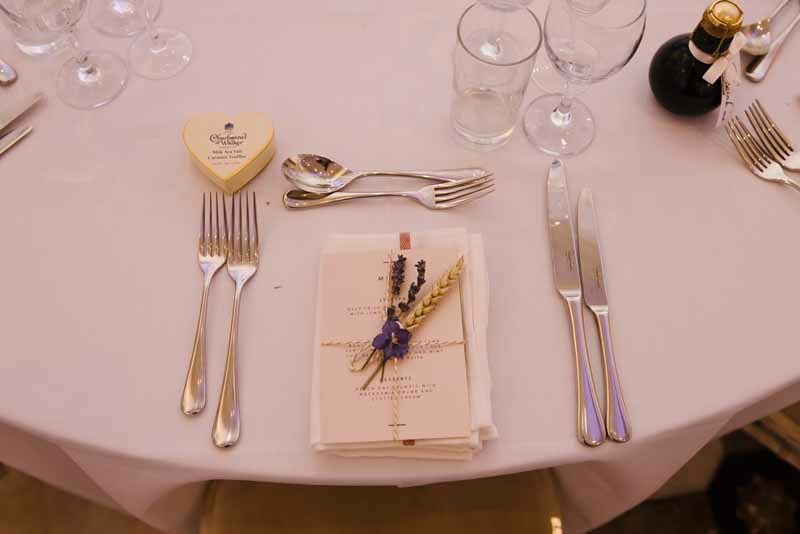 Each cheese stack had been carefully selected as a favourite and we loved the opportunity to style the table with a rustic wooden tree slice and beautiful blooms from their day.